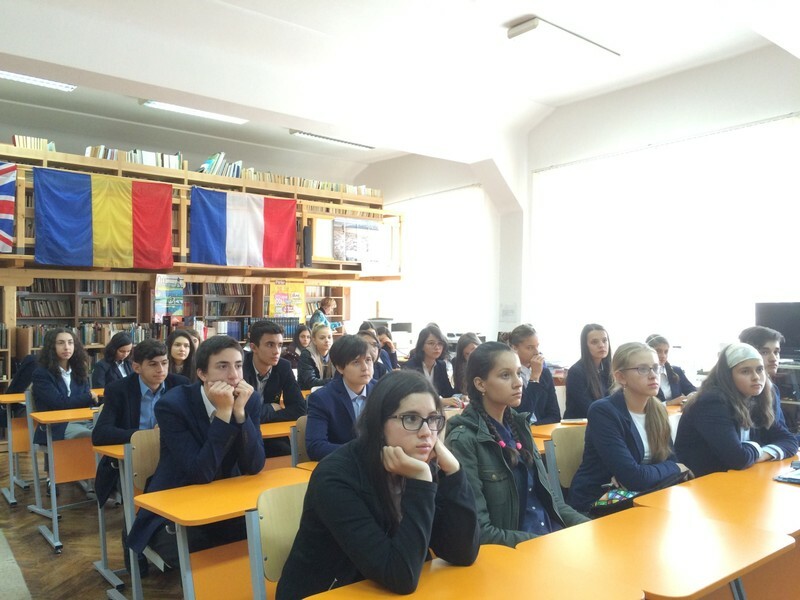 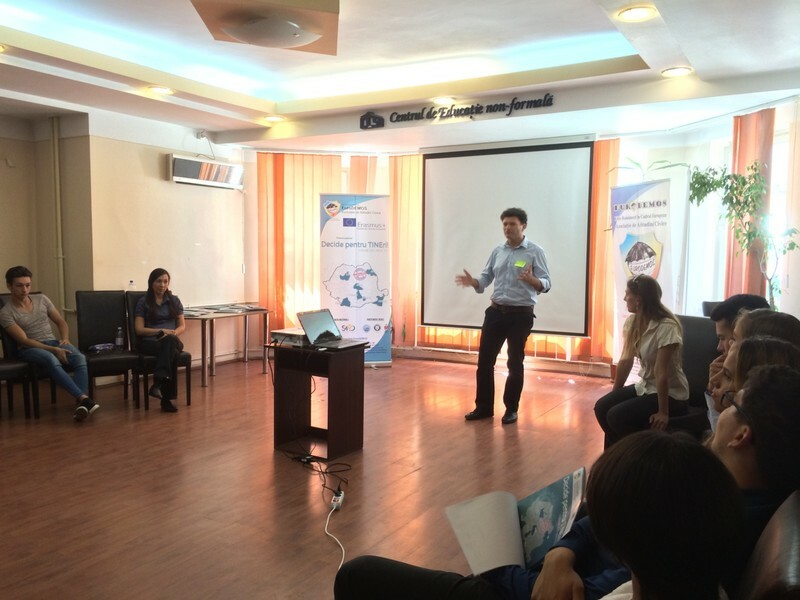 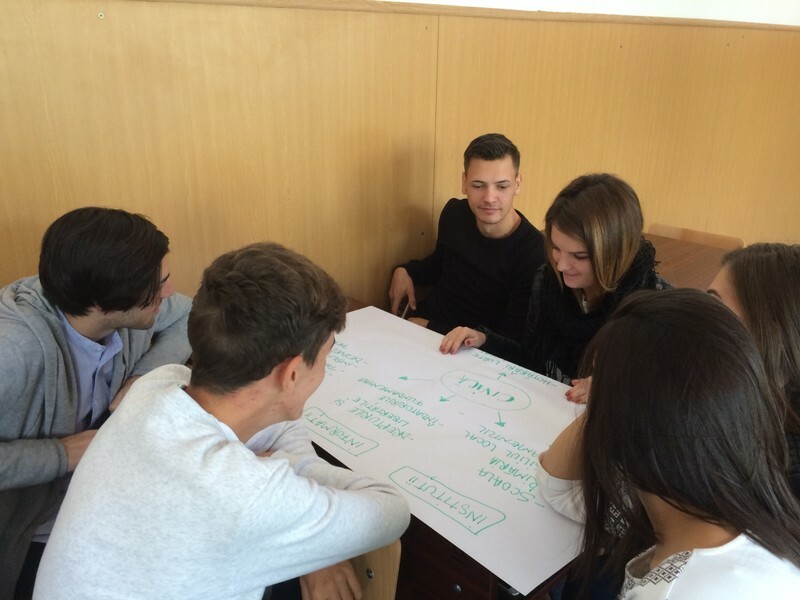 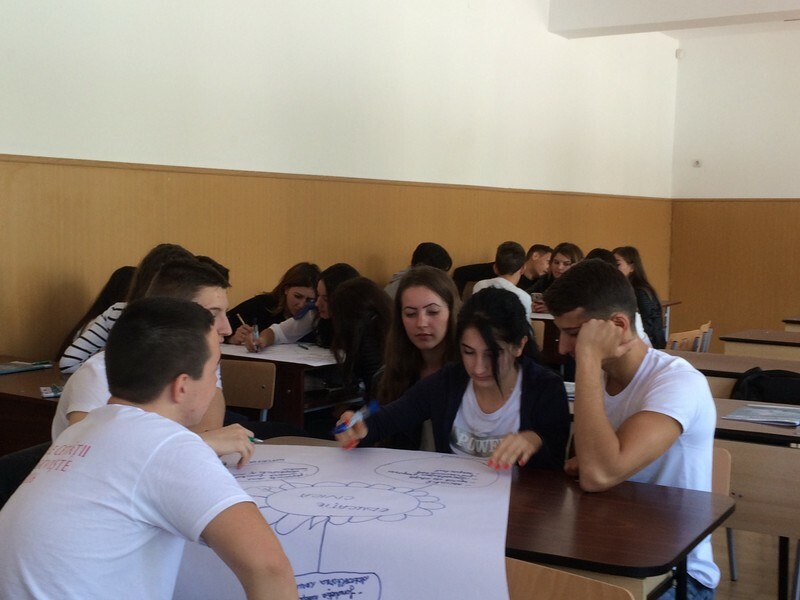 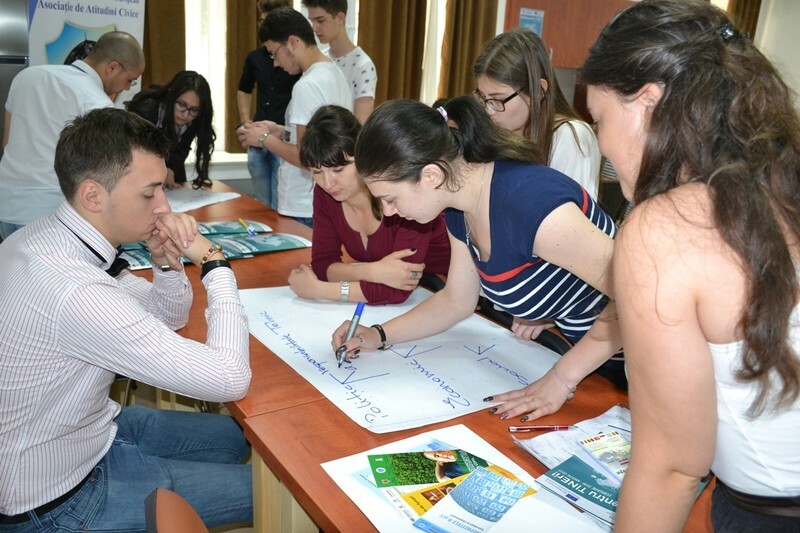 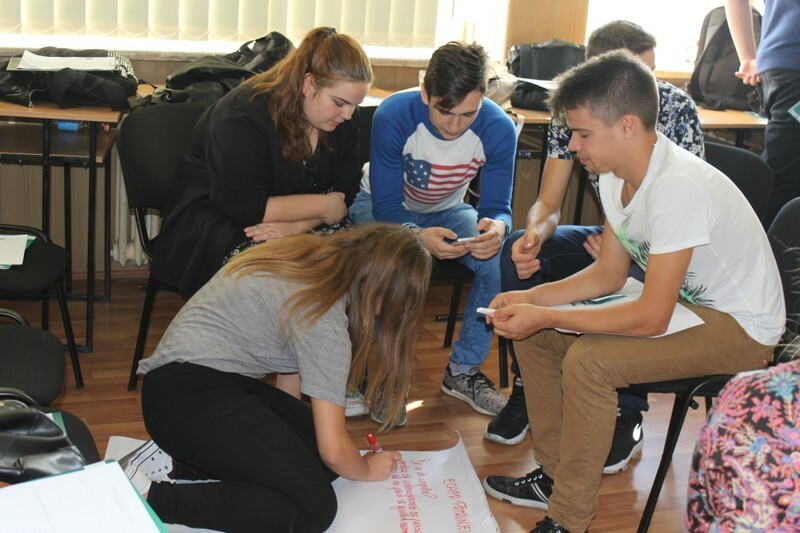 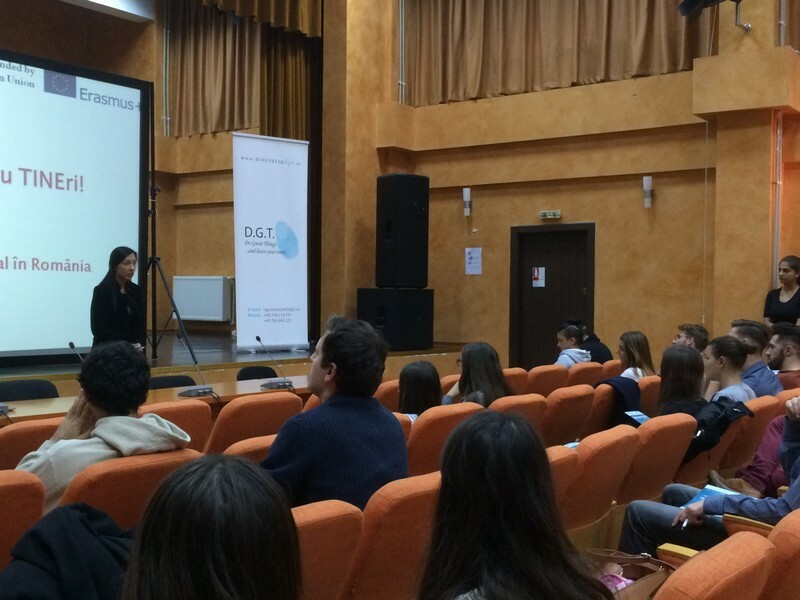 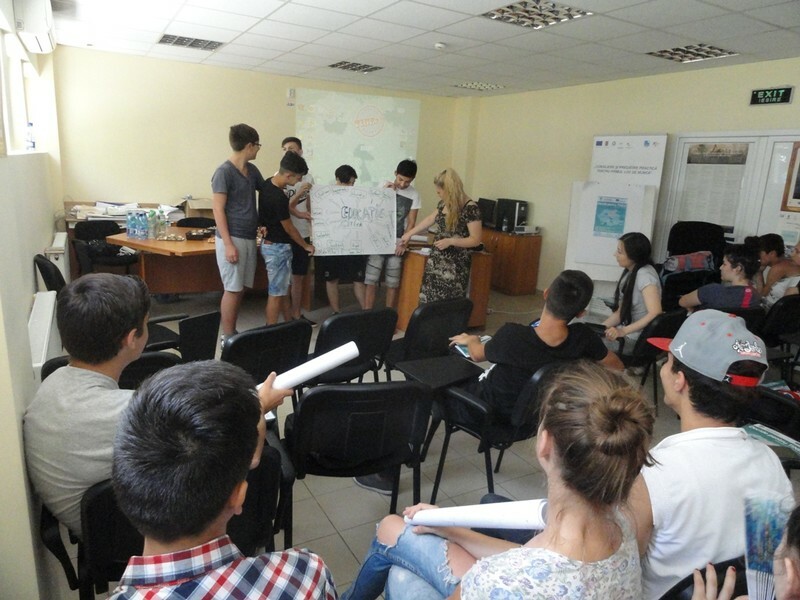 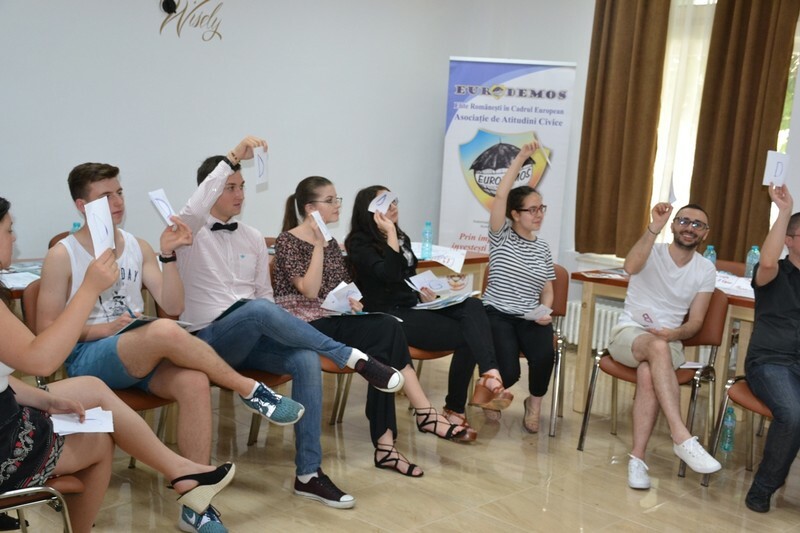 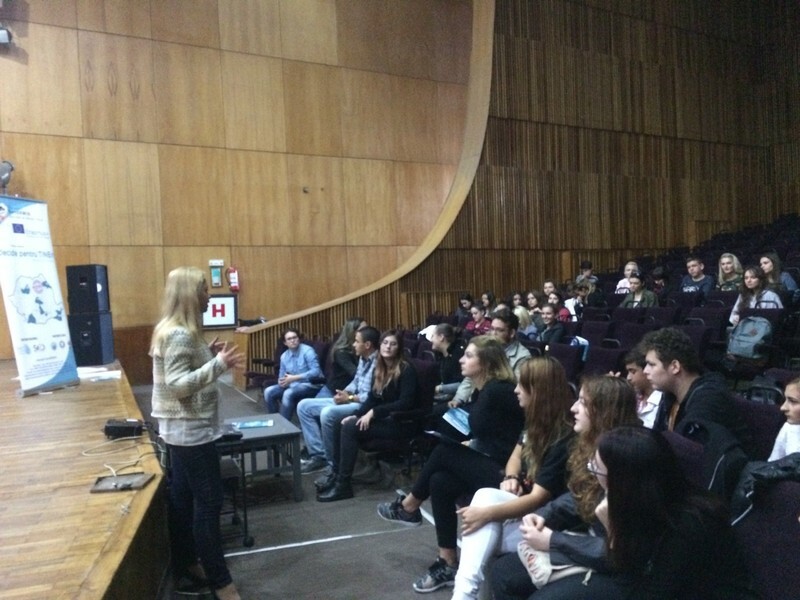 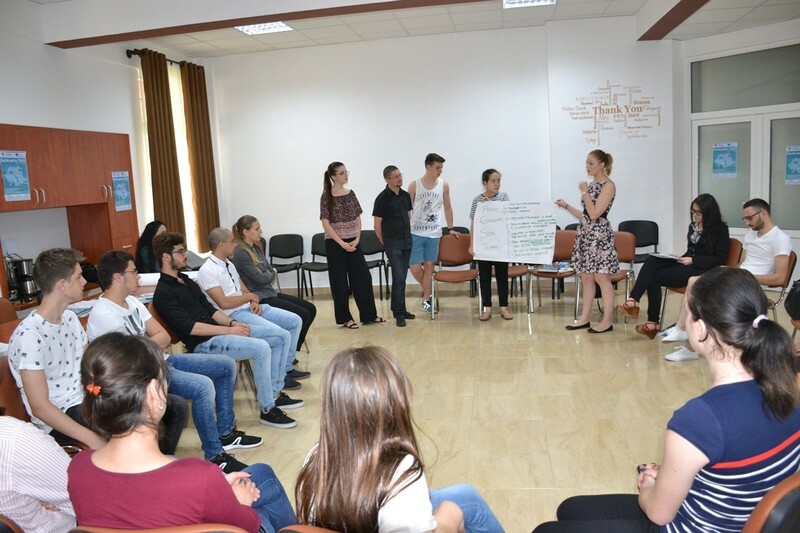 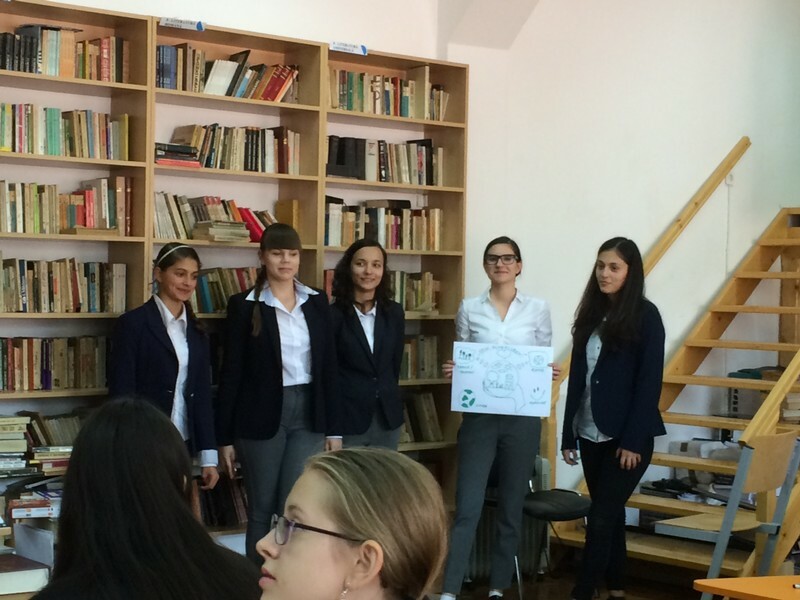 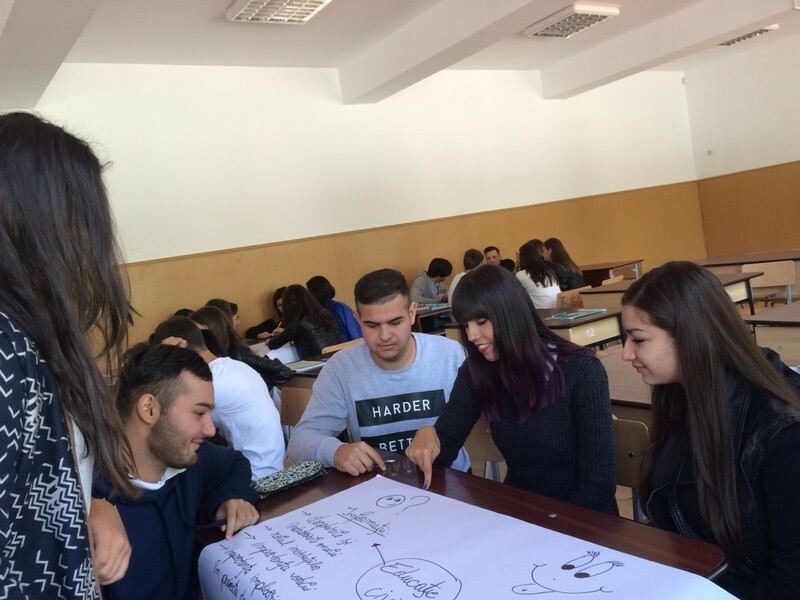 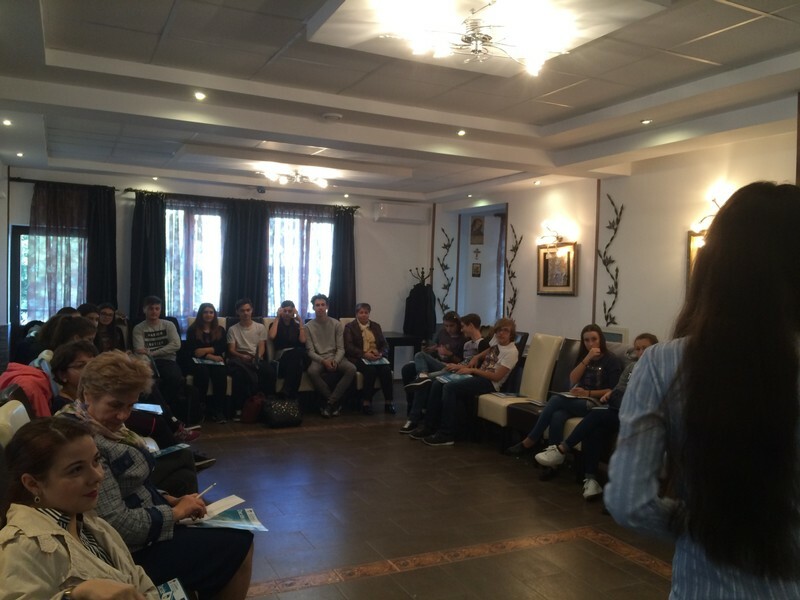 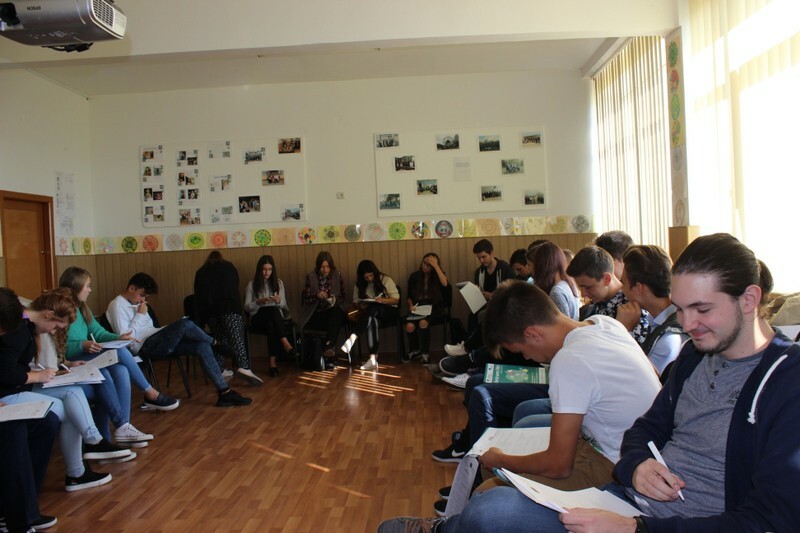 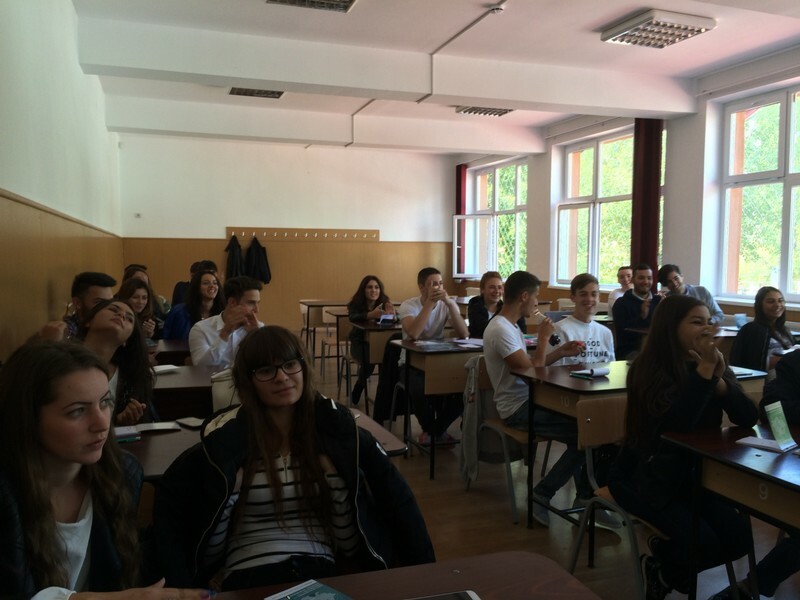 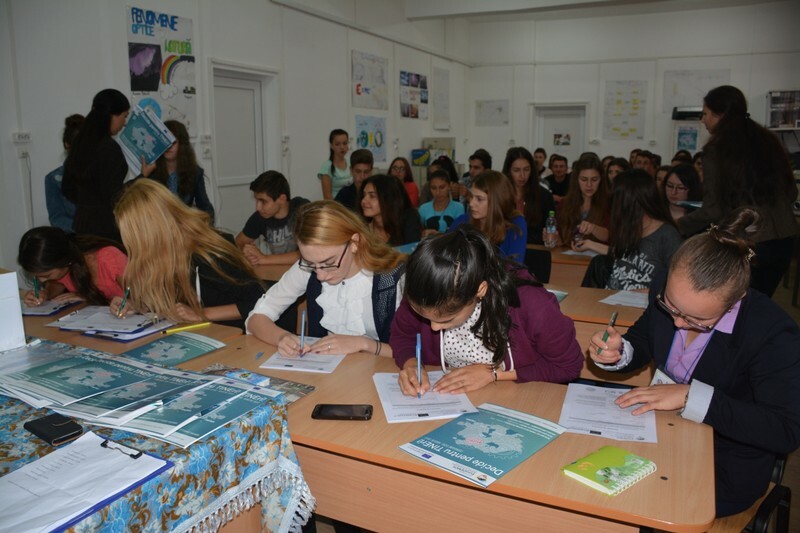 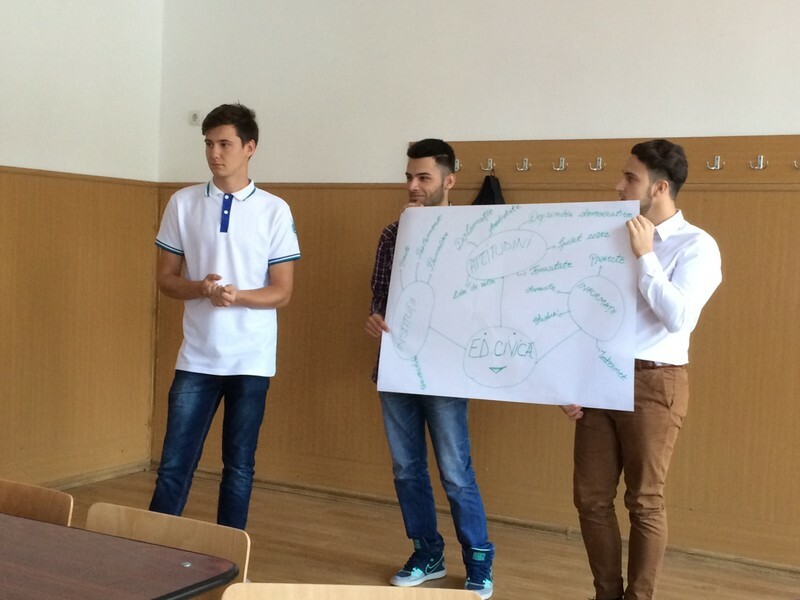 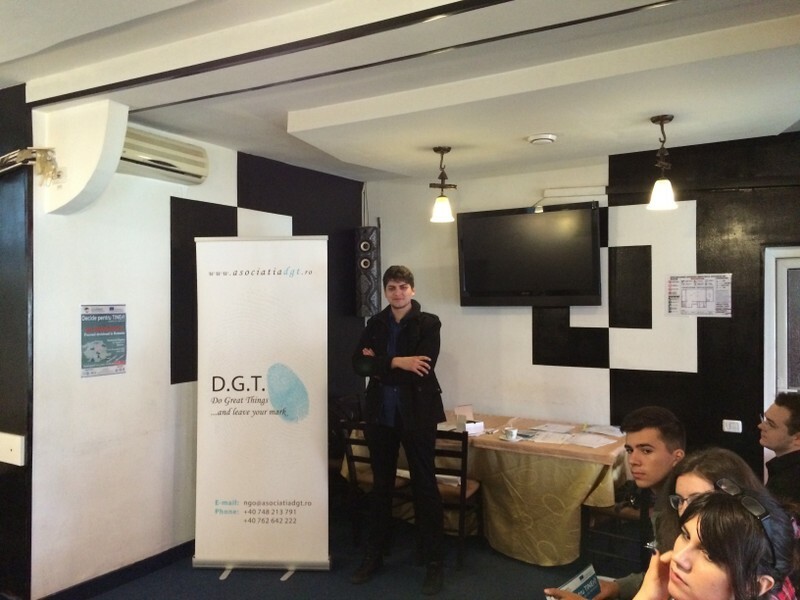 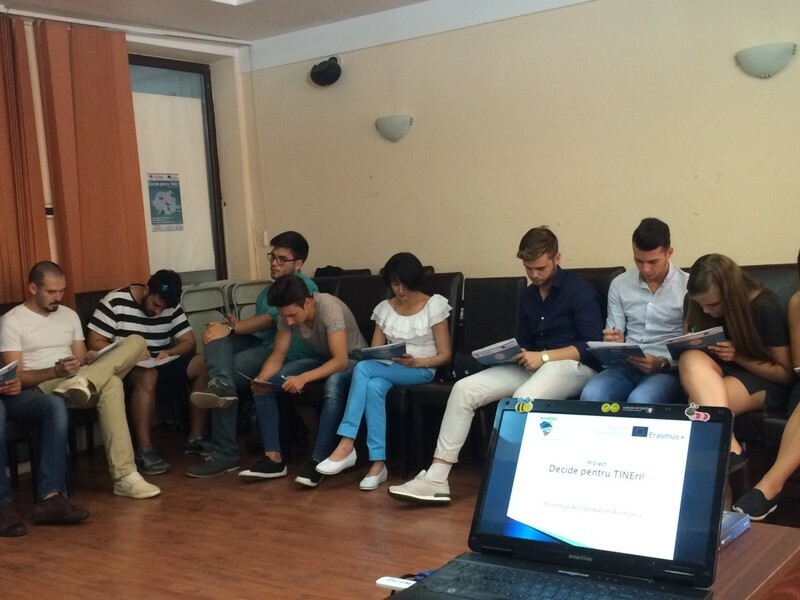 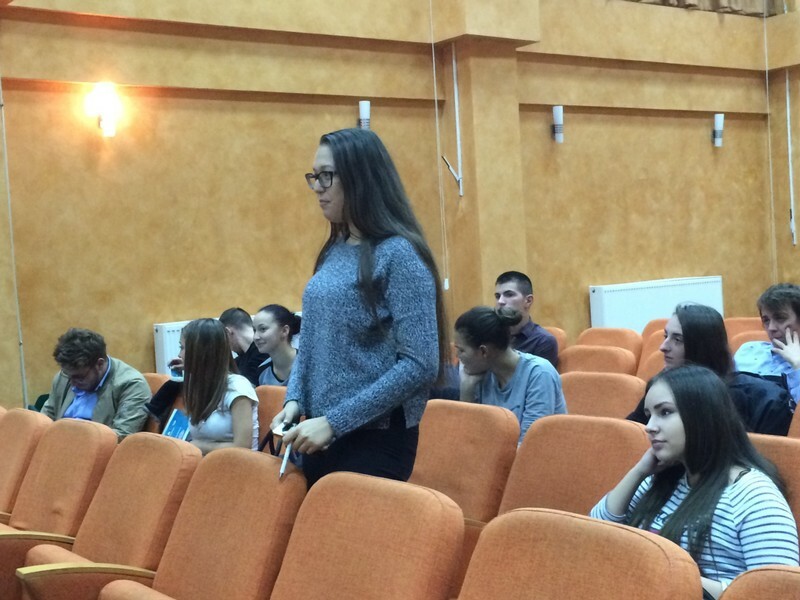 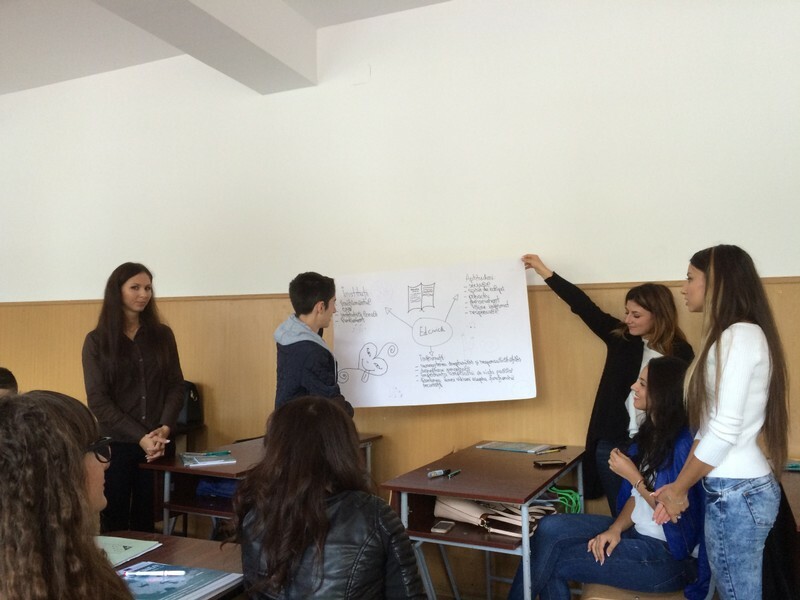 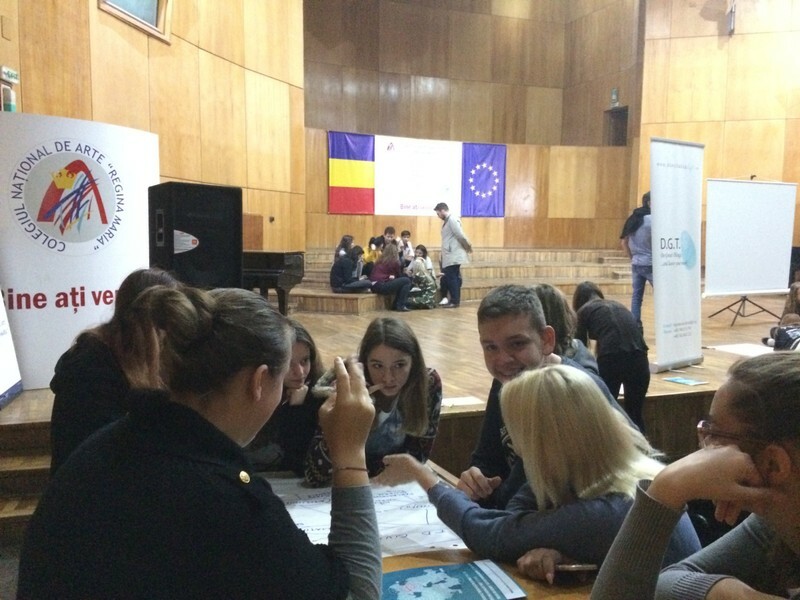 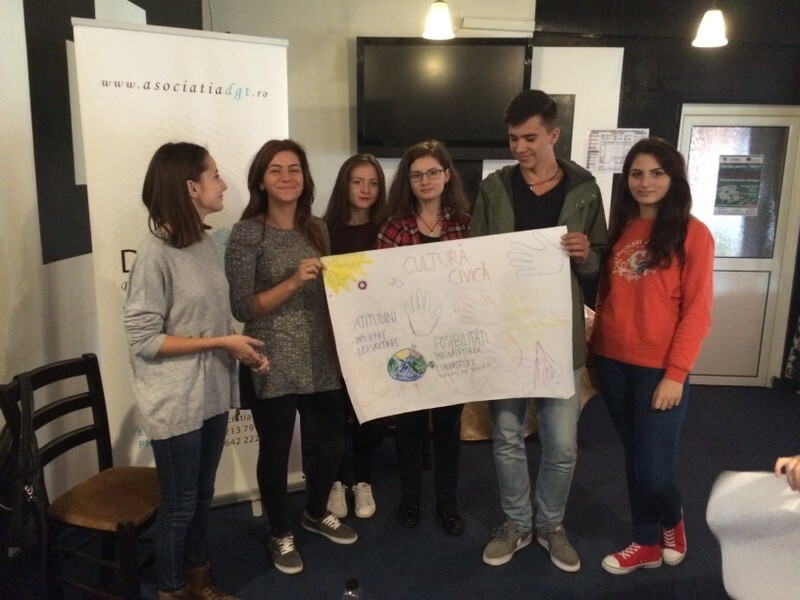 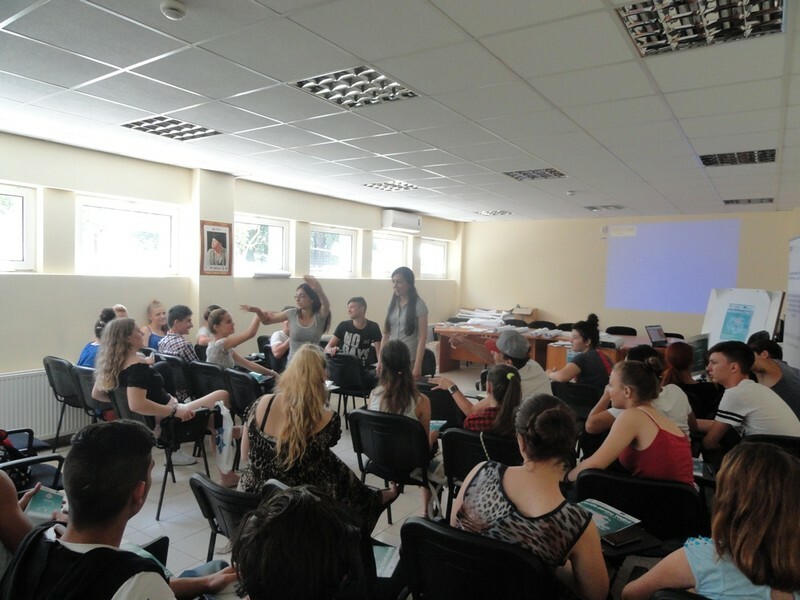 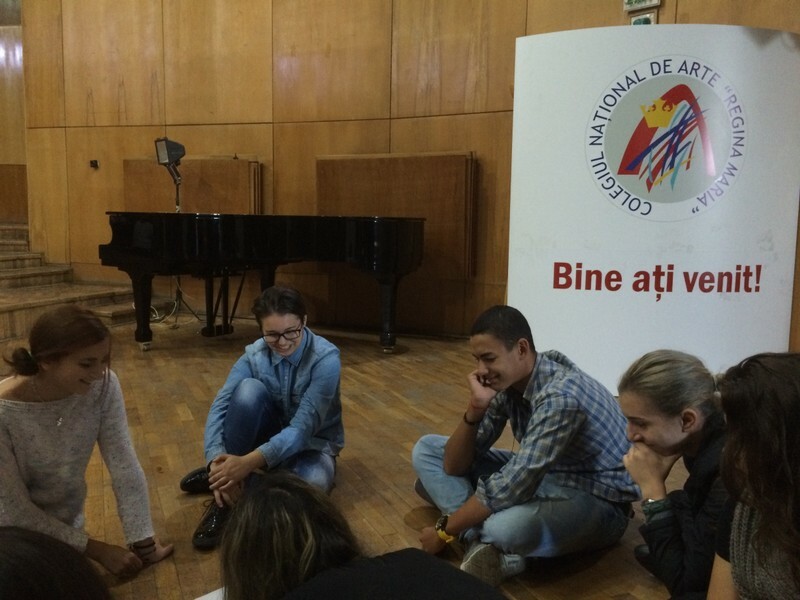 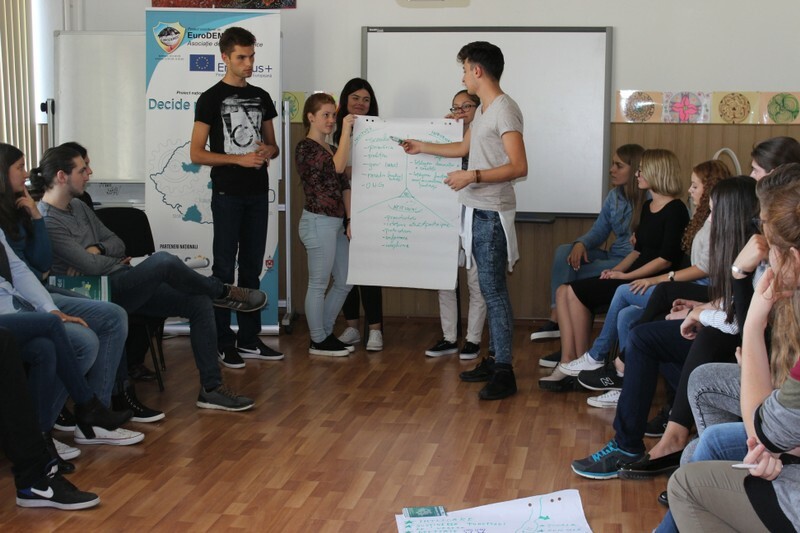 To have a contribution to the community development, a basic condition of participation consists of youth information and awareness on the role that they play in today's democratic society, because a democratic society guarantees citizens access to decision-making and strengthened democracy depends on conscious and responsible citizens participation. 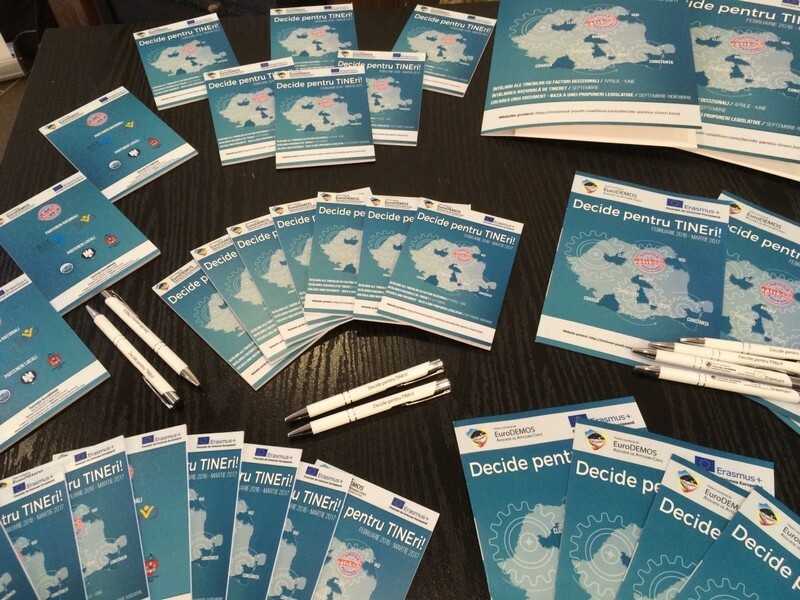 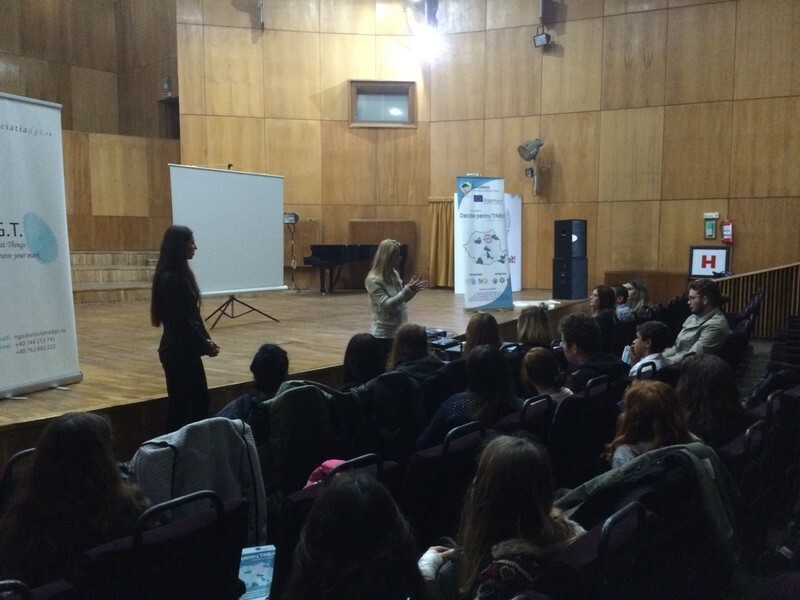 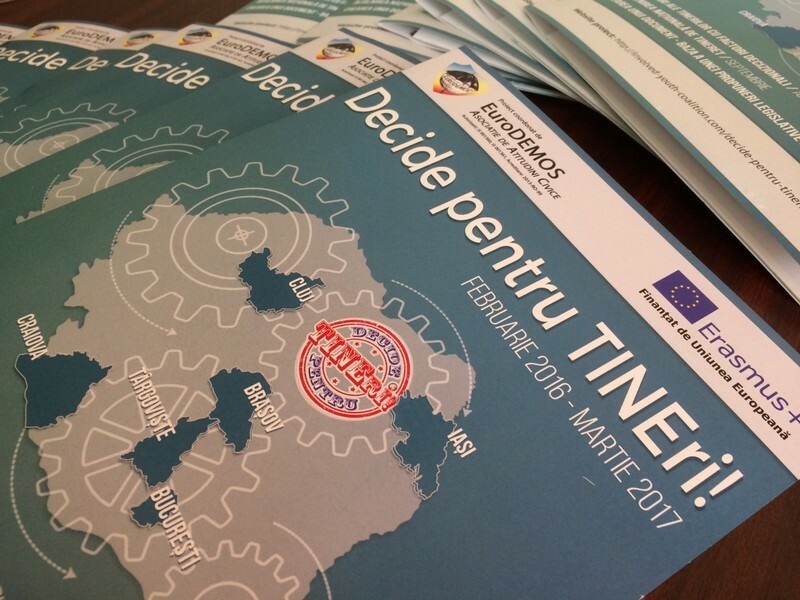 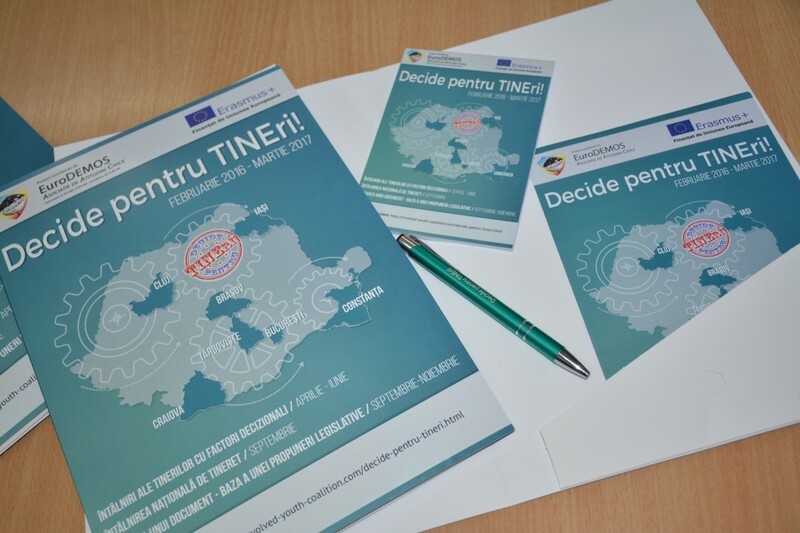 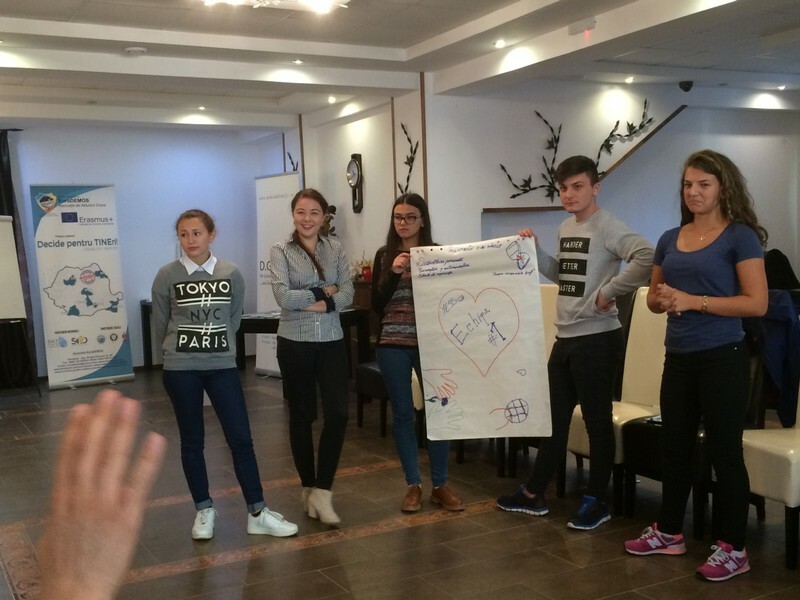 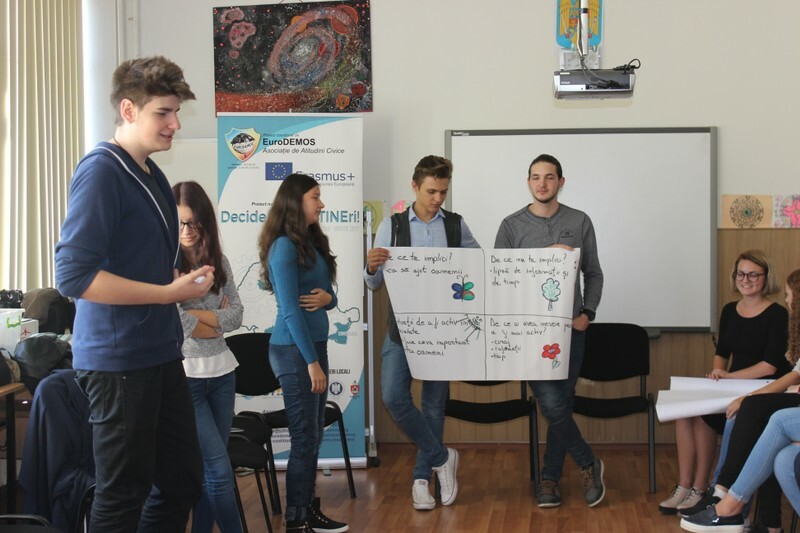 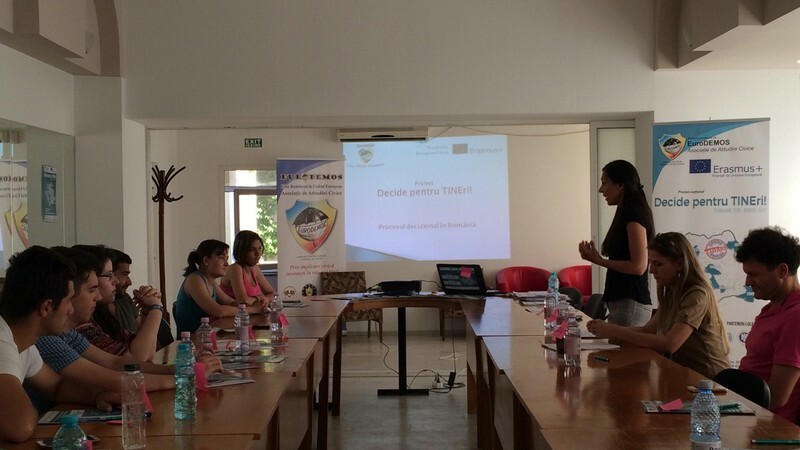 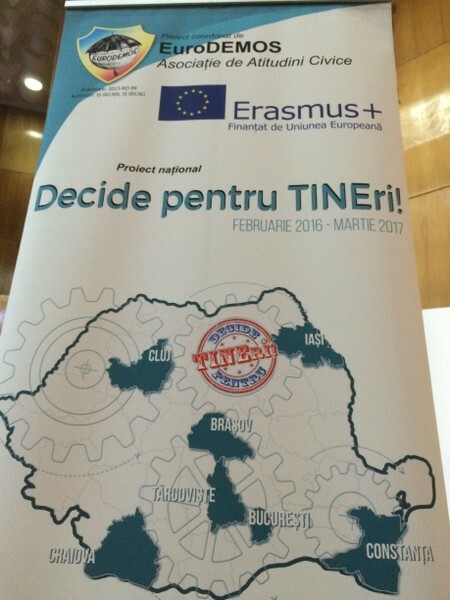 The project "Decide for YOUth!" 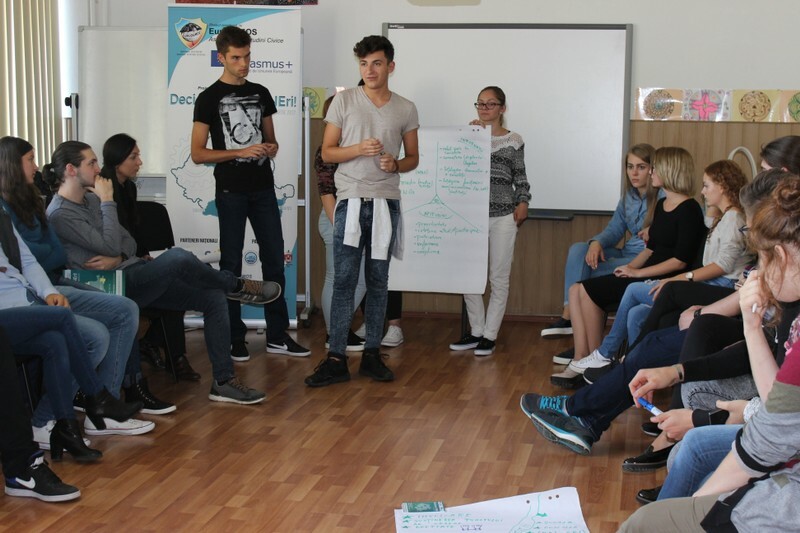 aimed the development of social and civic competences among youth to increase the active and aware participation of youth at the community democratic life. 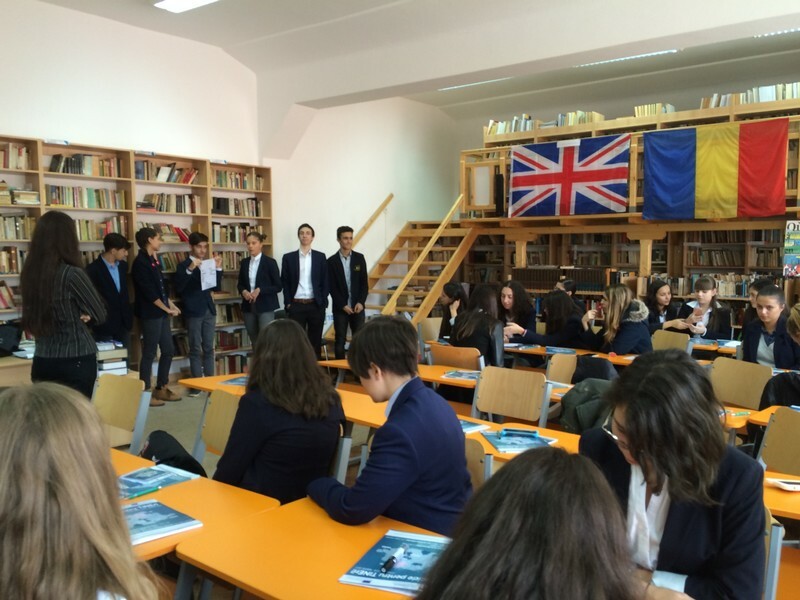 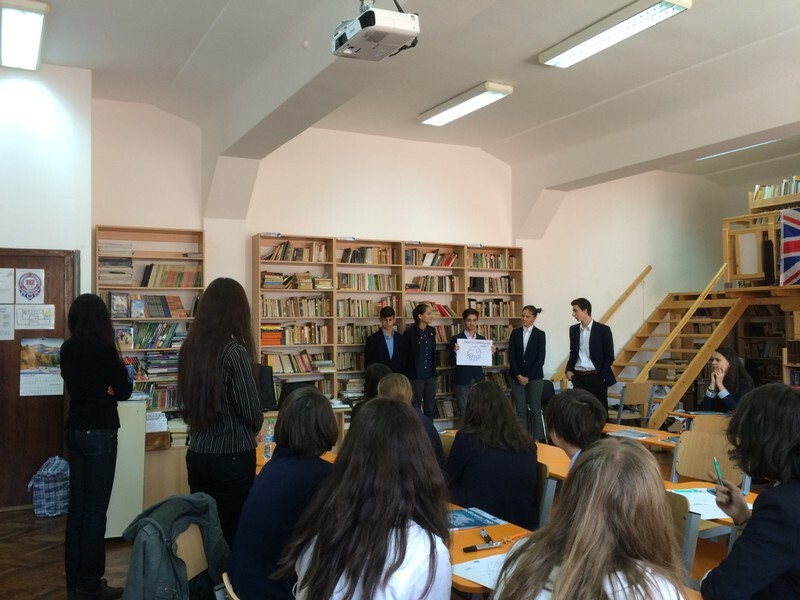 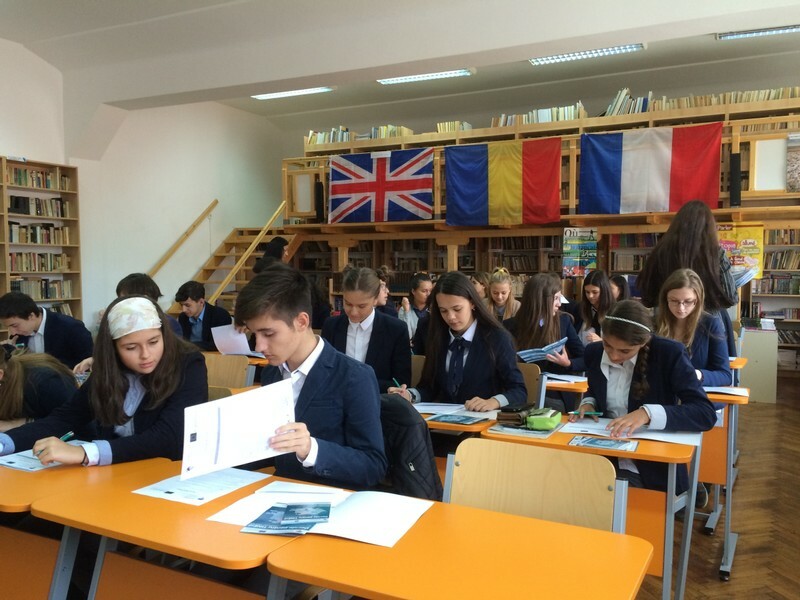 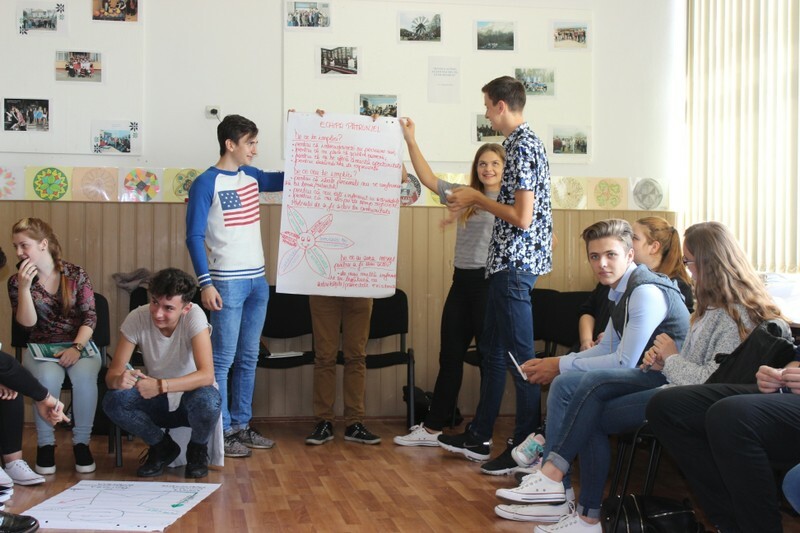 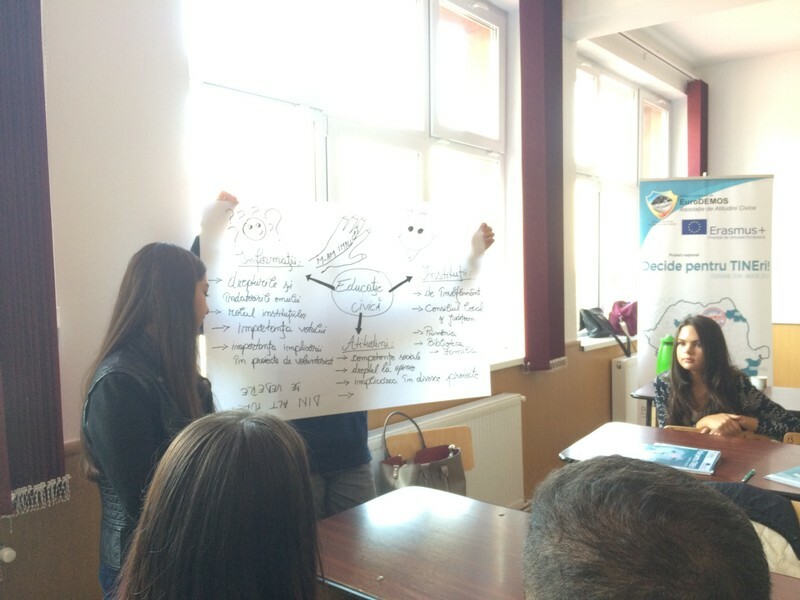 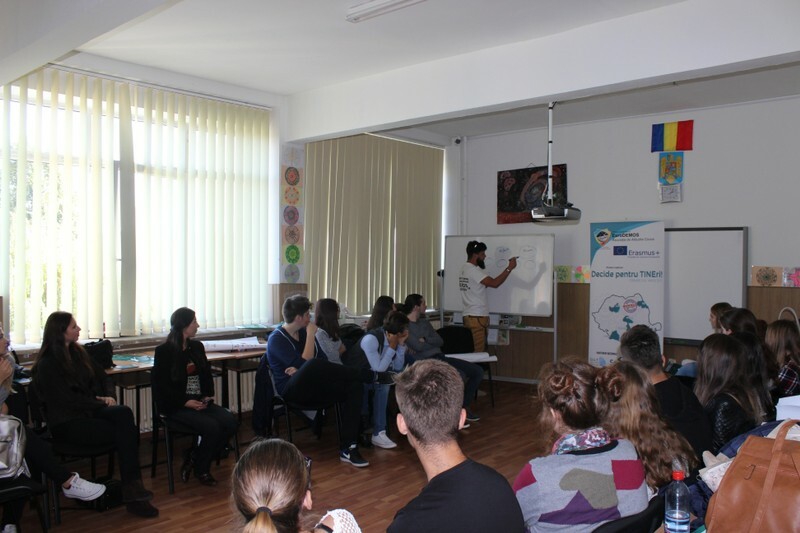 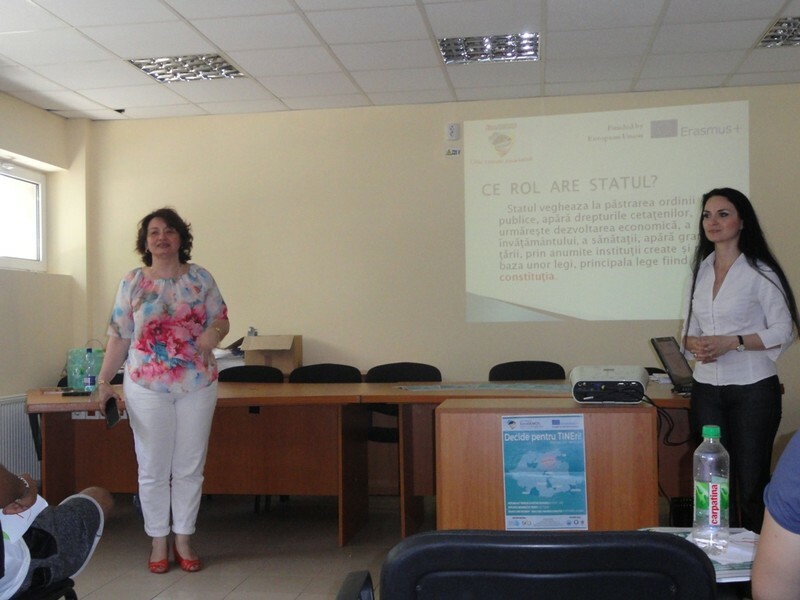 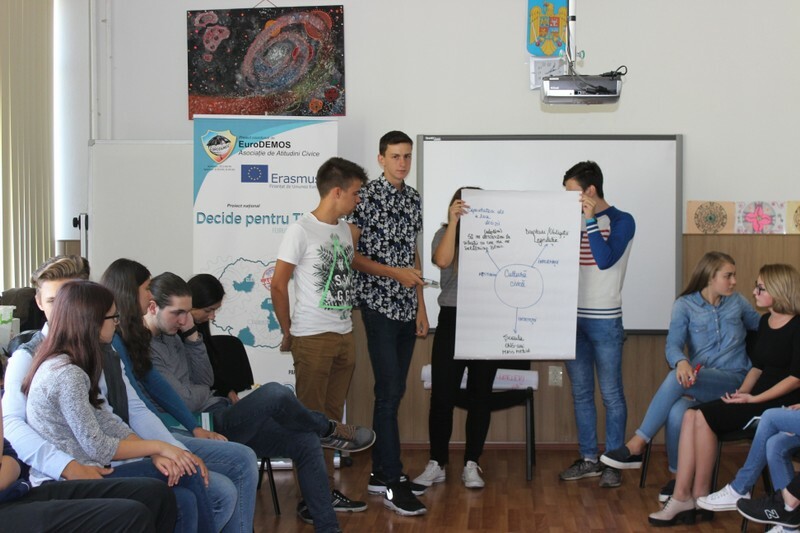 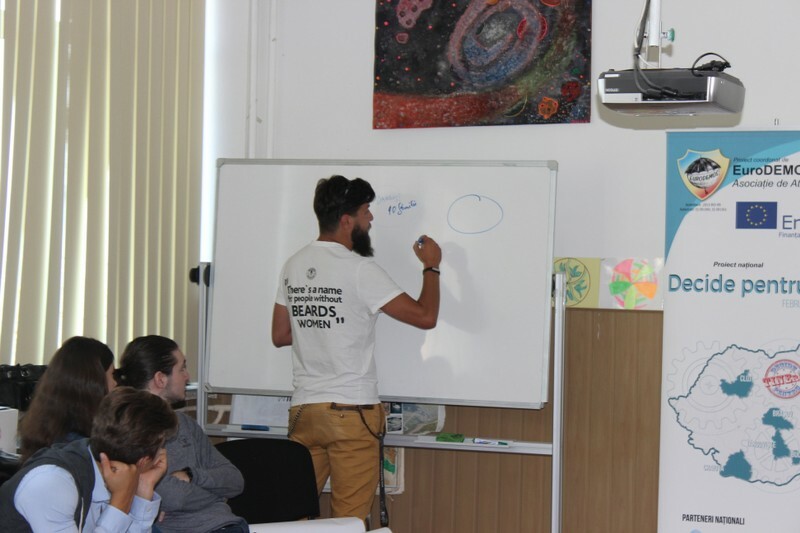 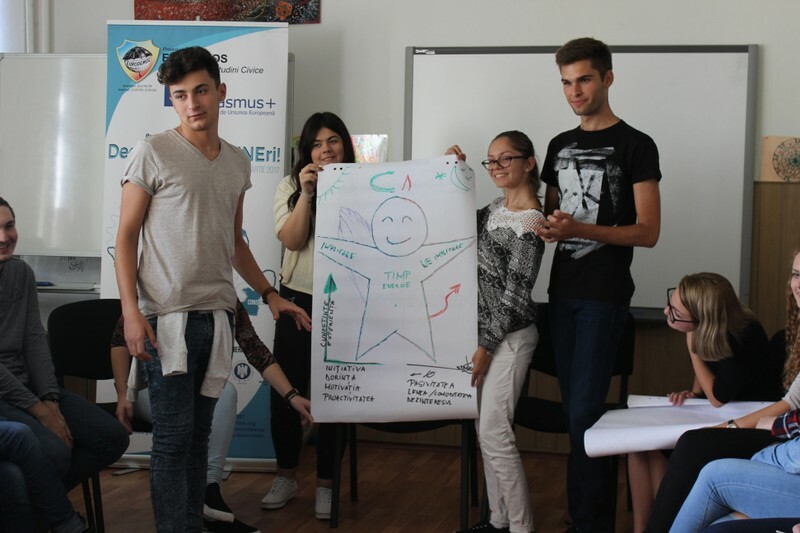 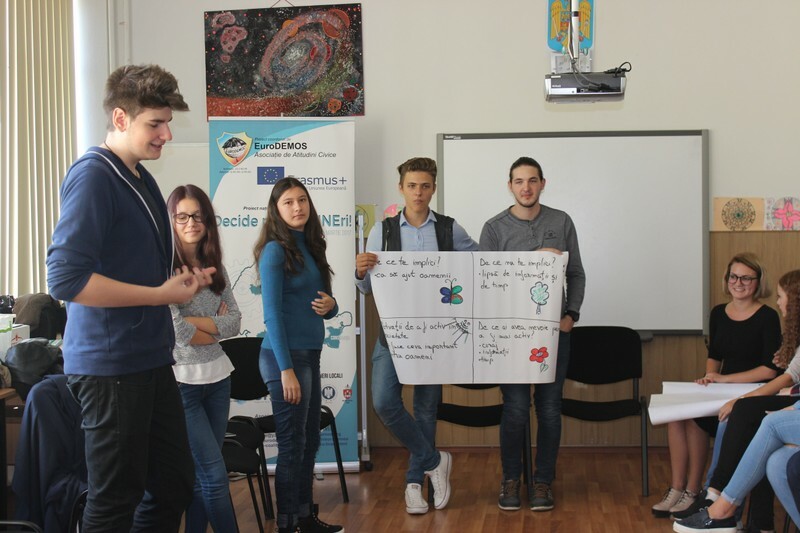 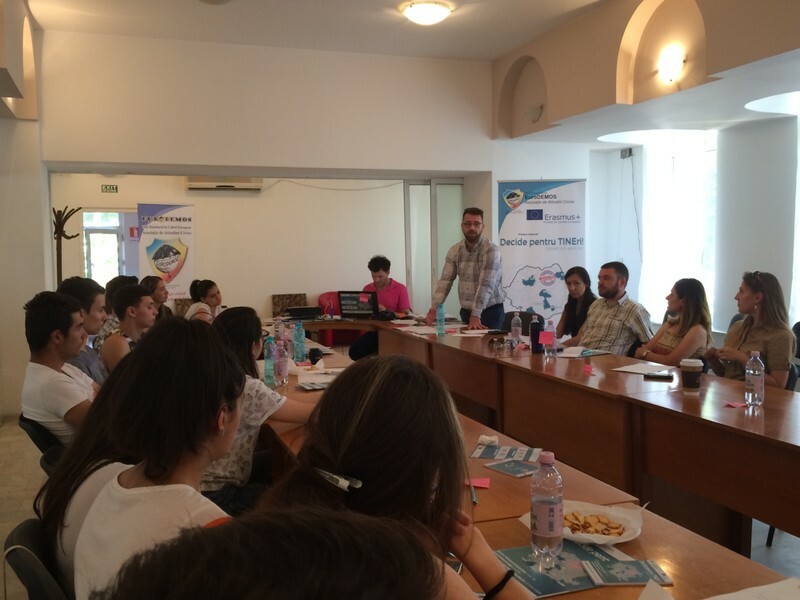 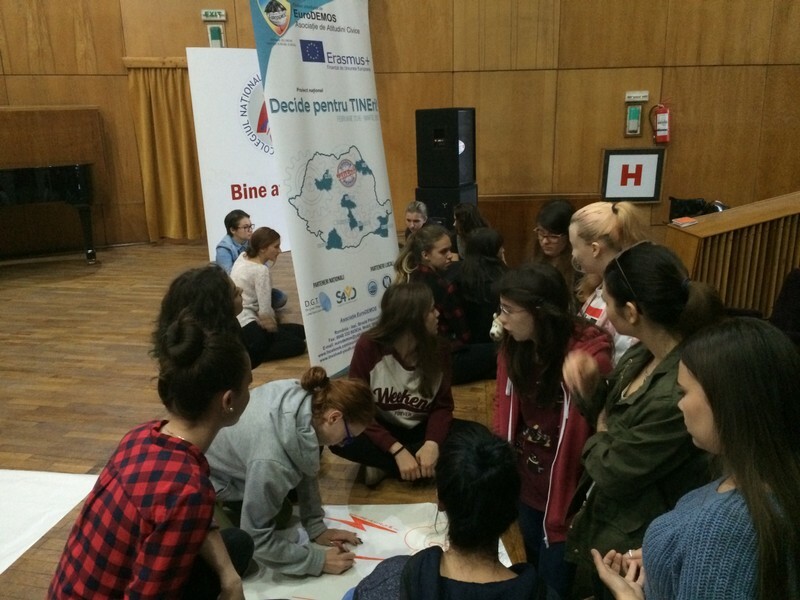 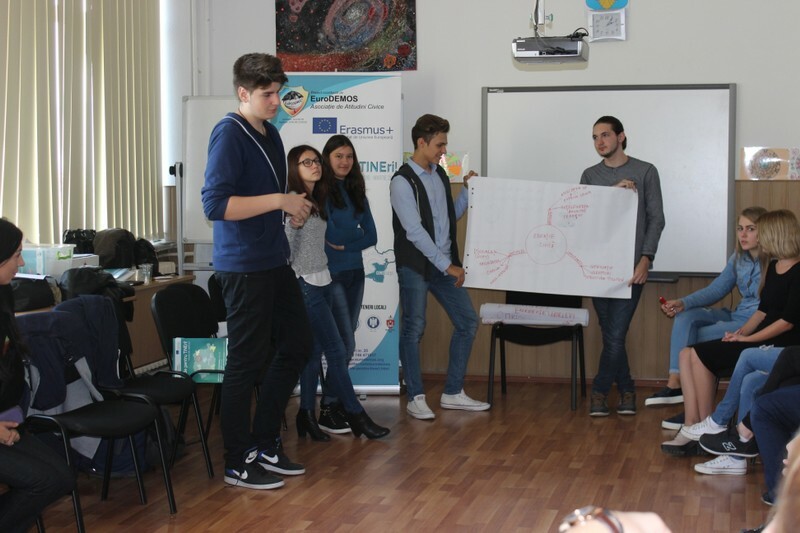 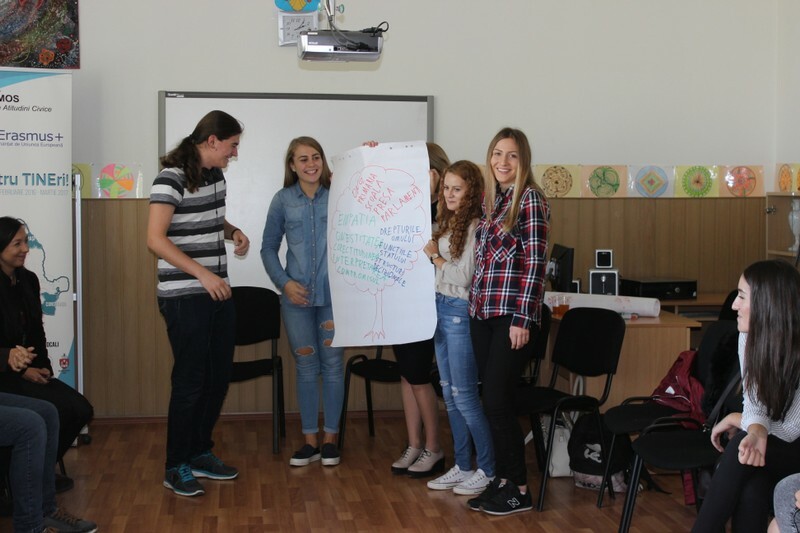 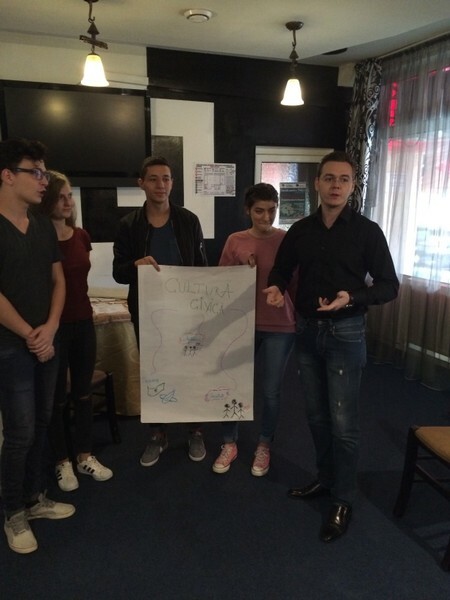 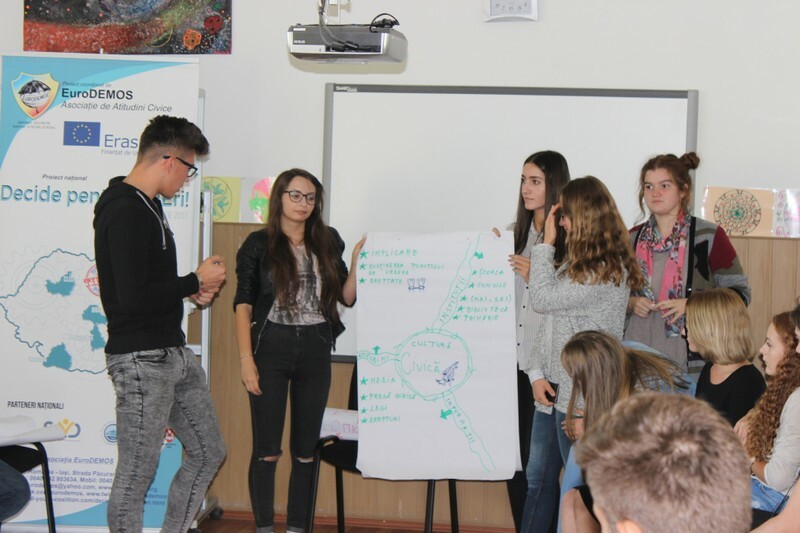 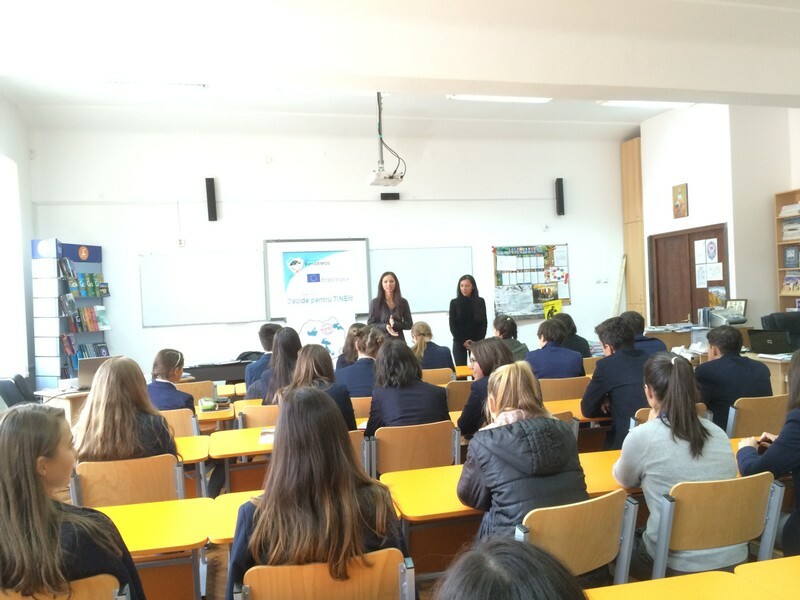 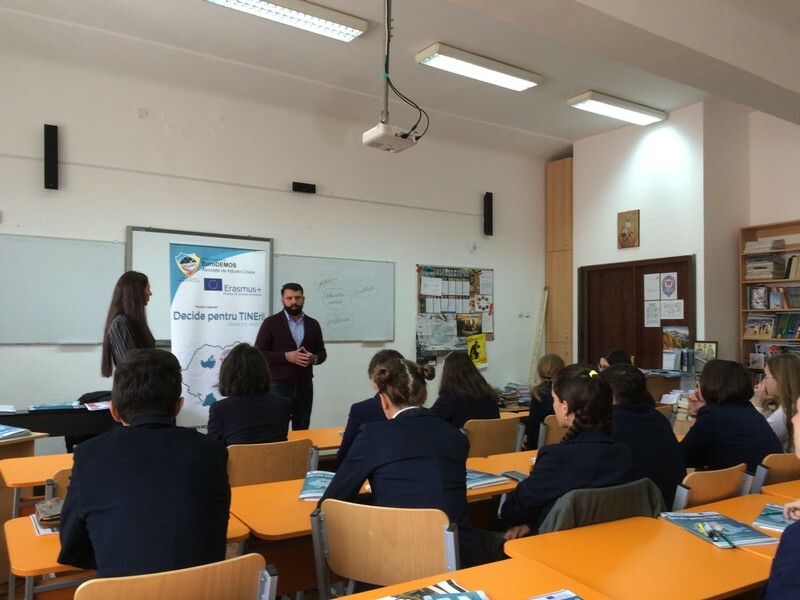 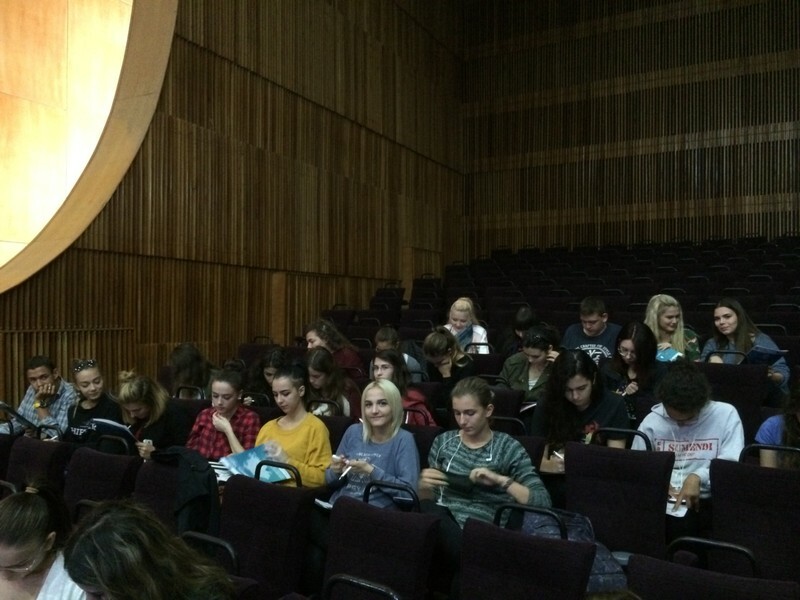 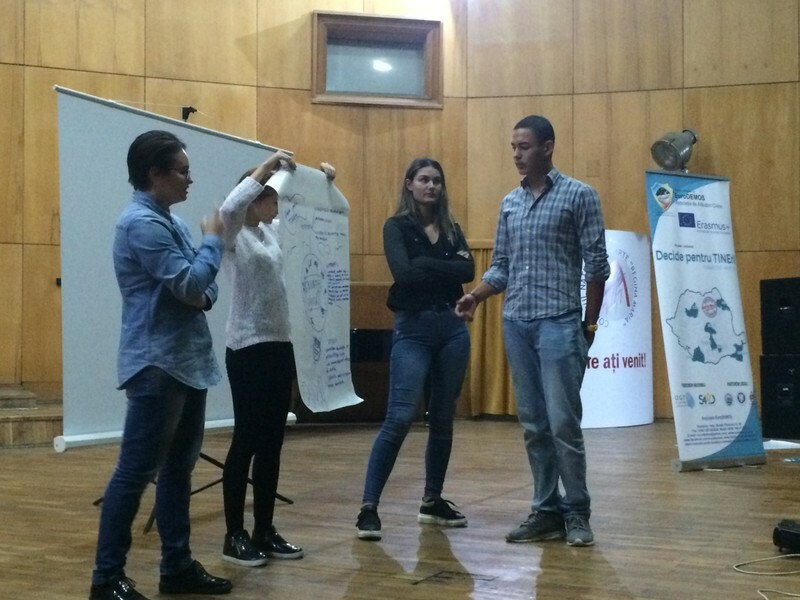 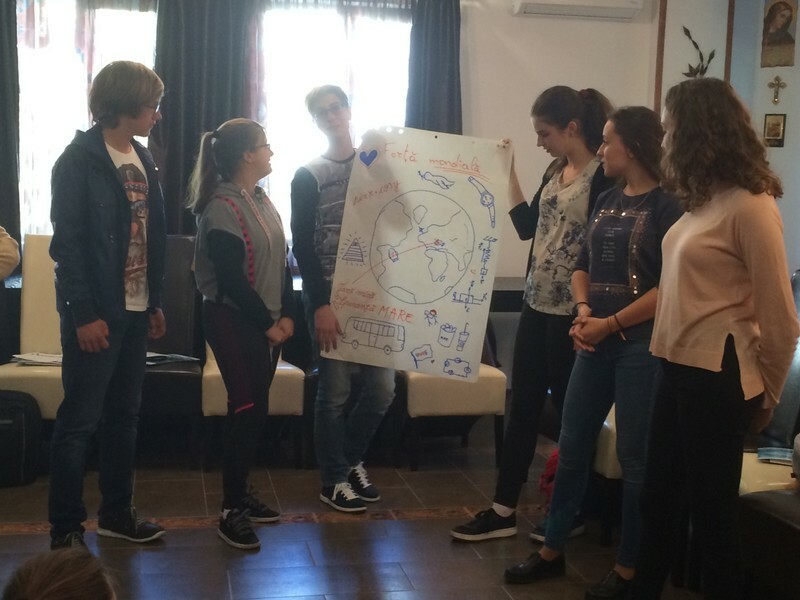 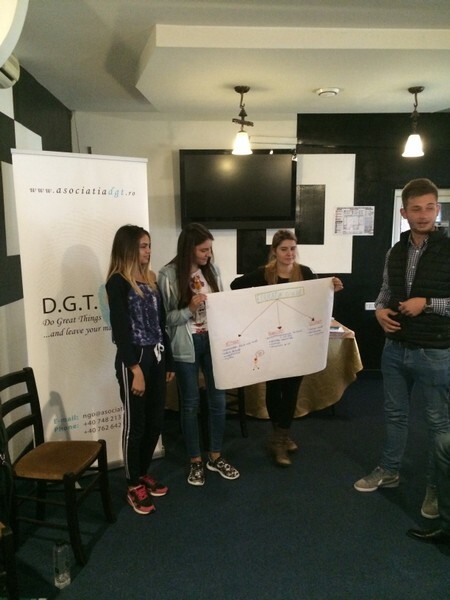 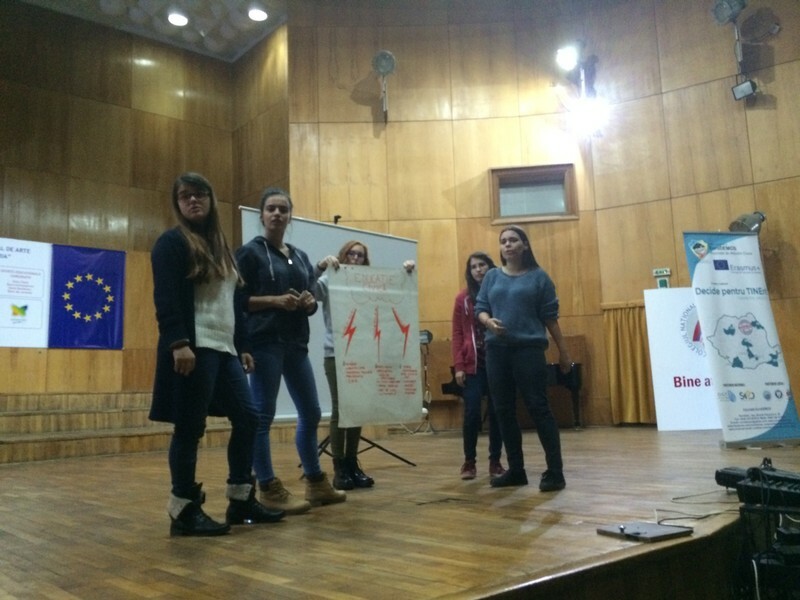 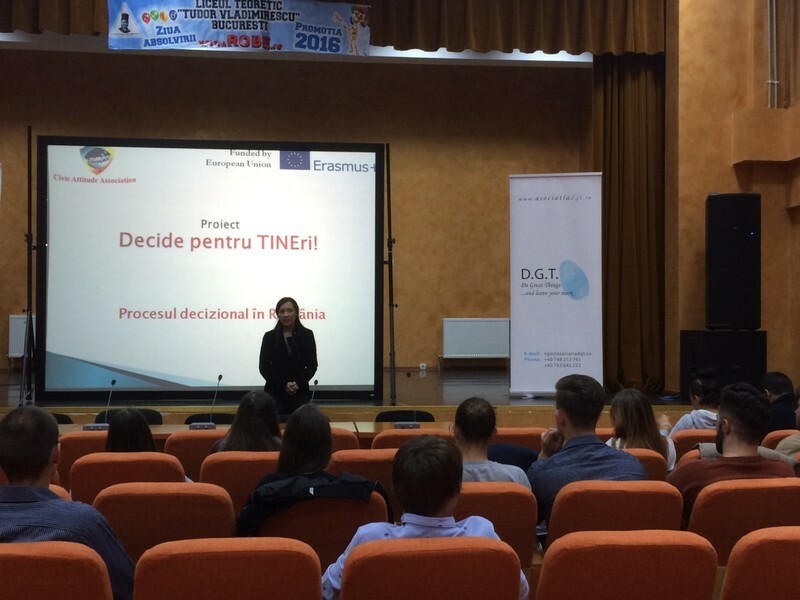 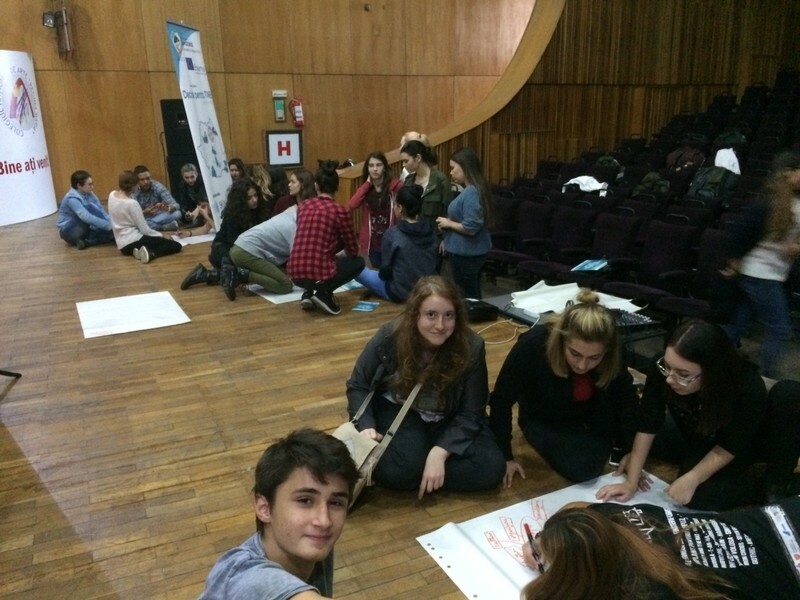 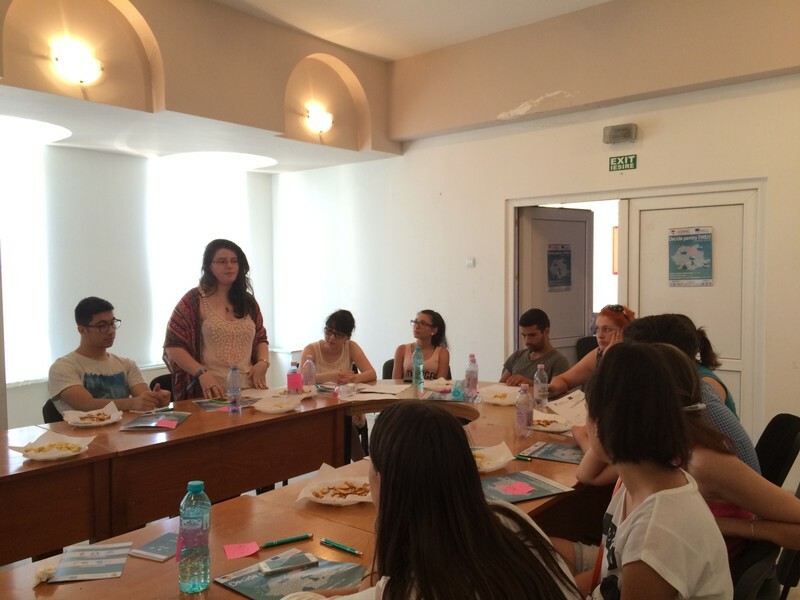 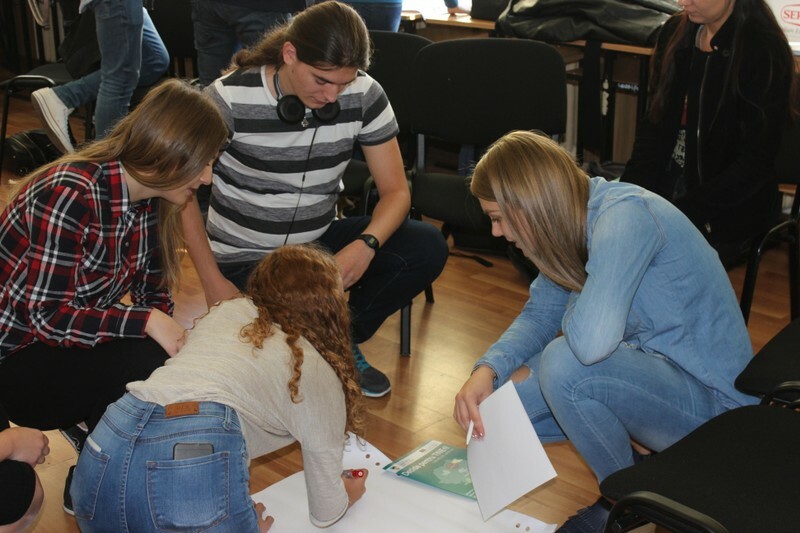 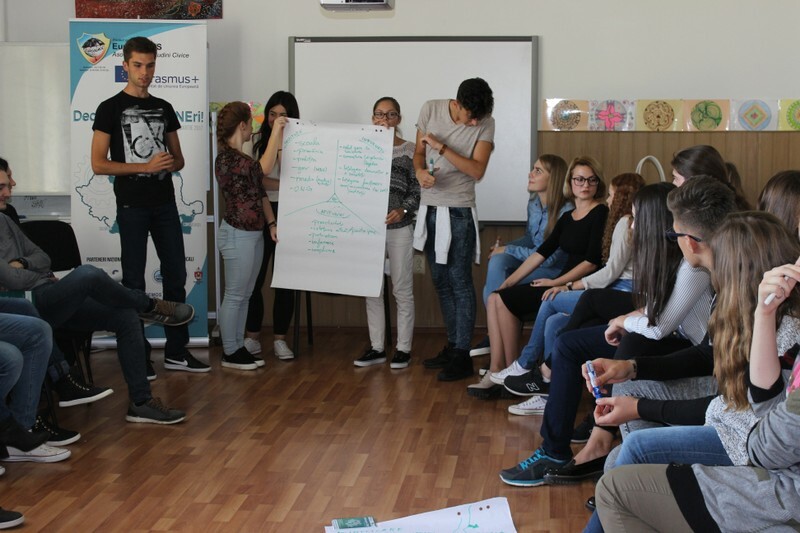 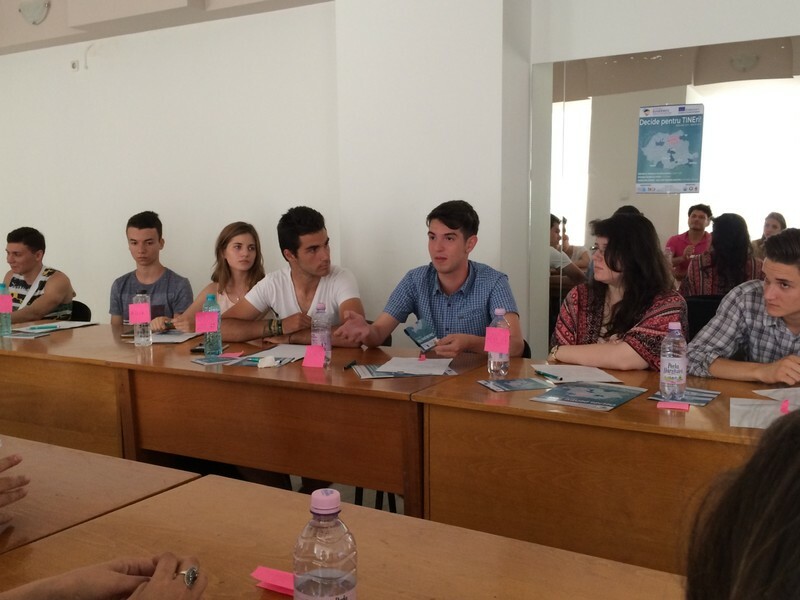 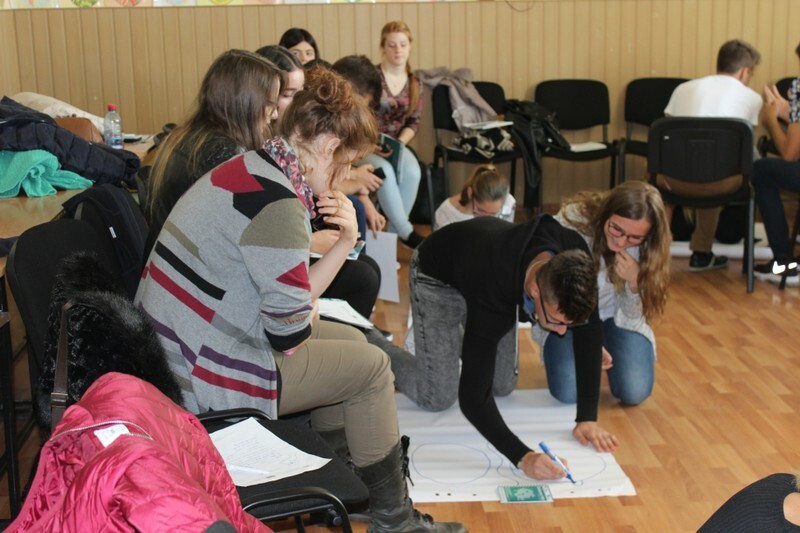 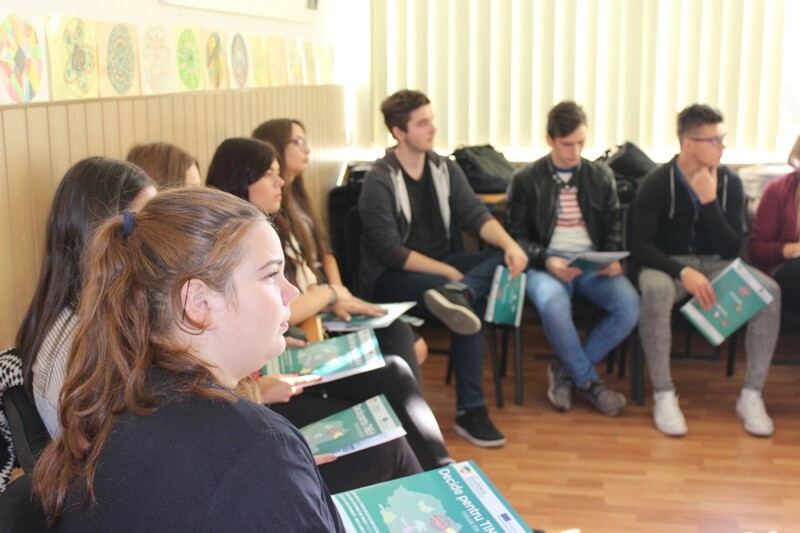 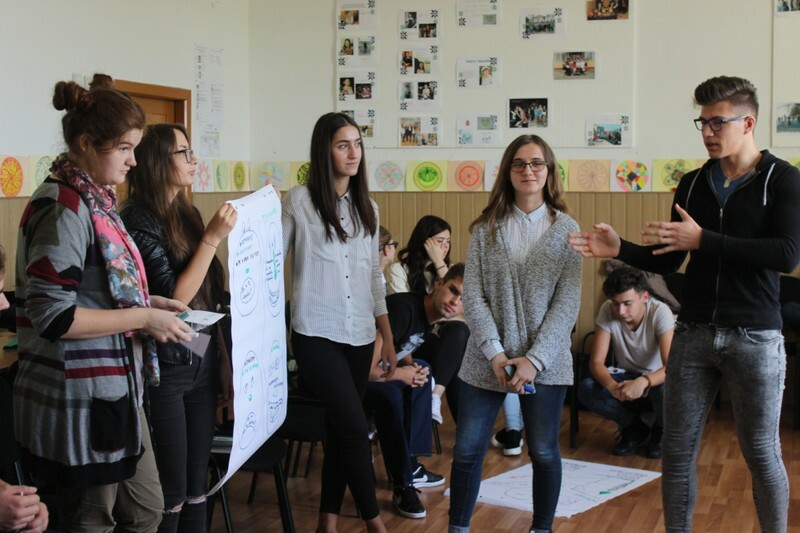 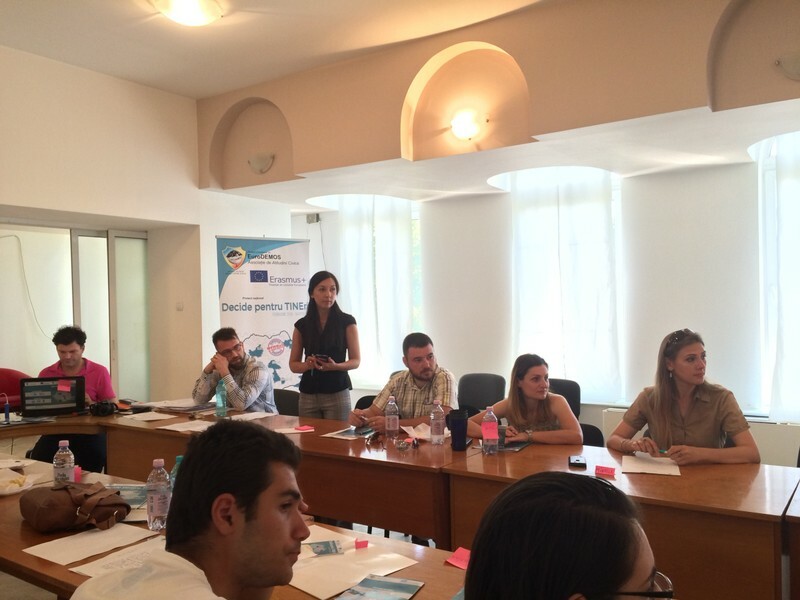 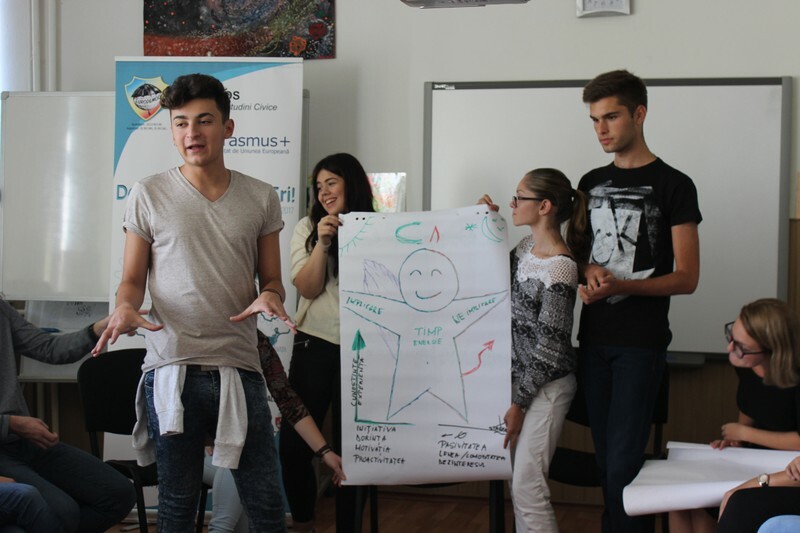 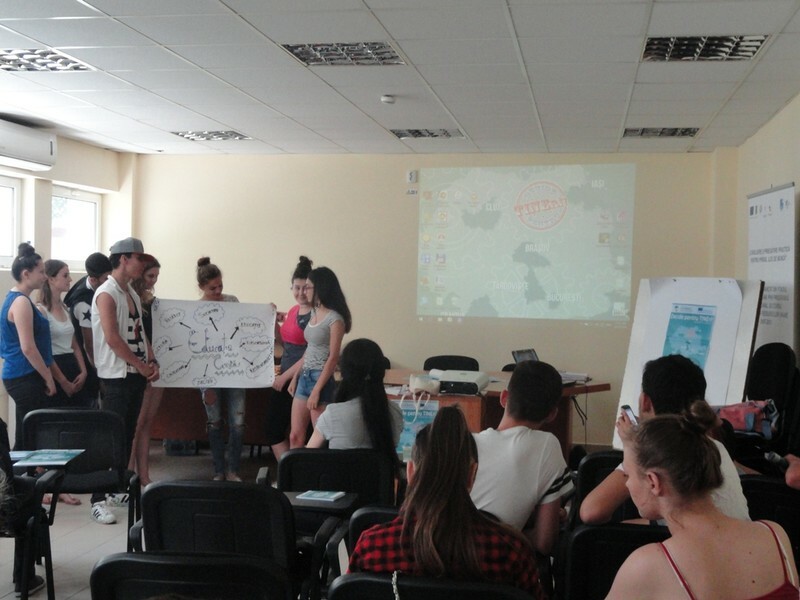 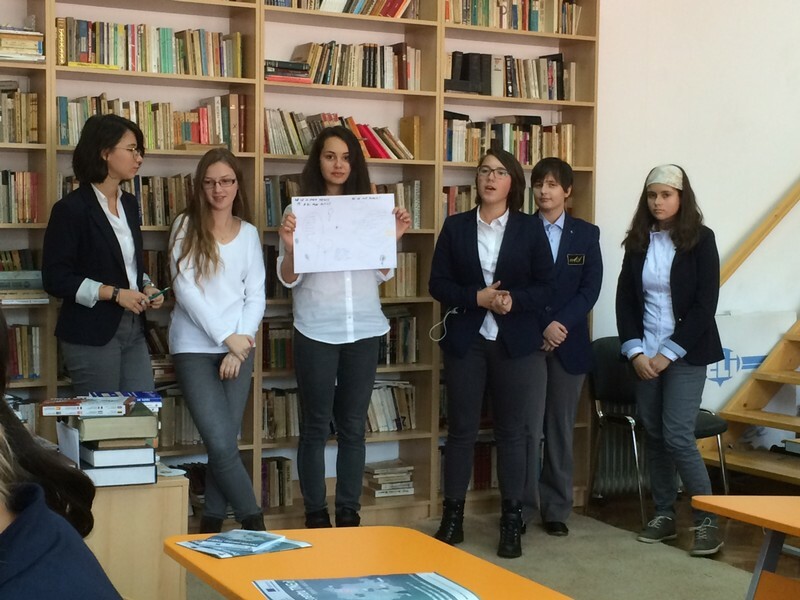 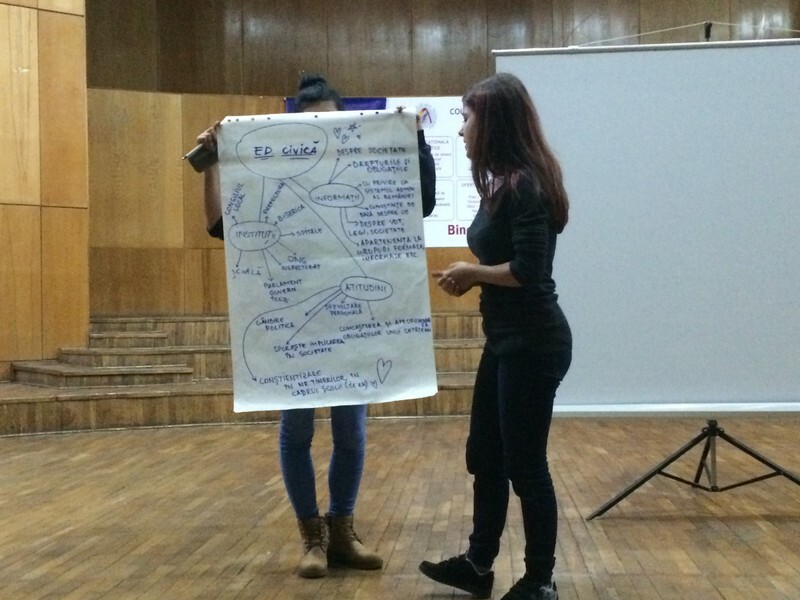 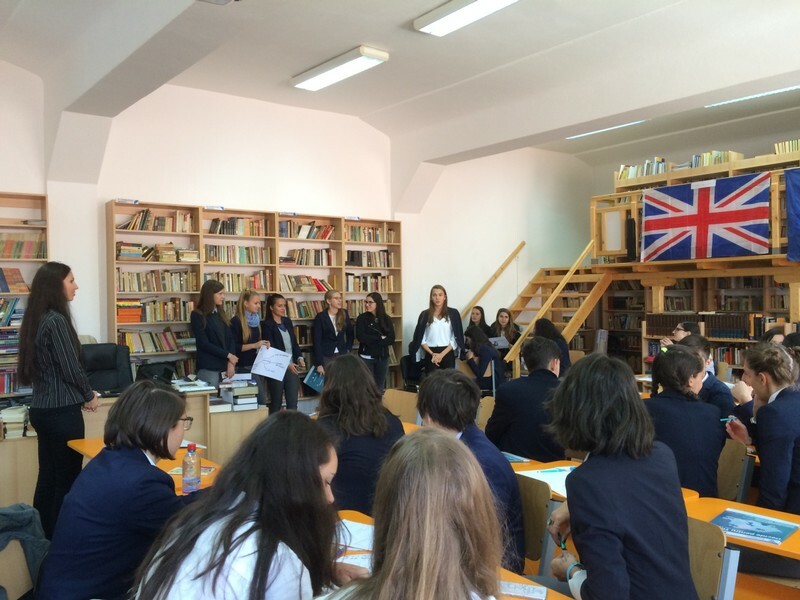 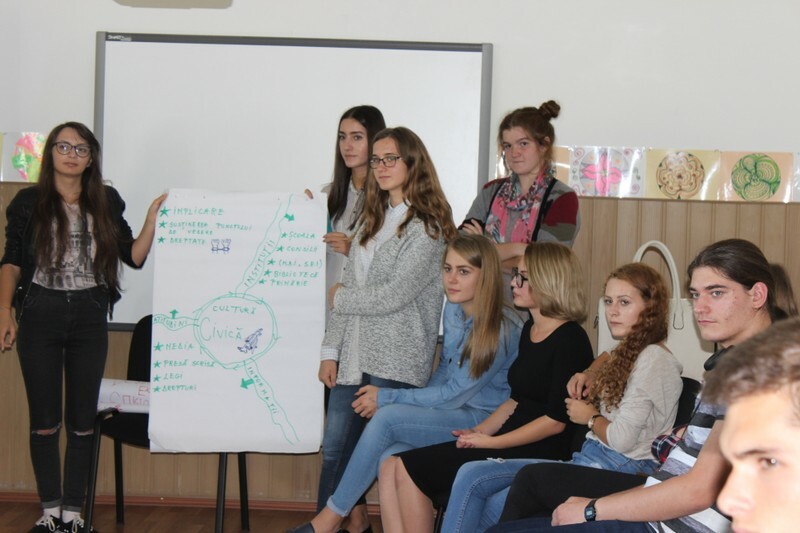 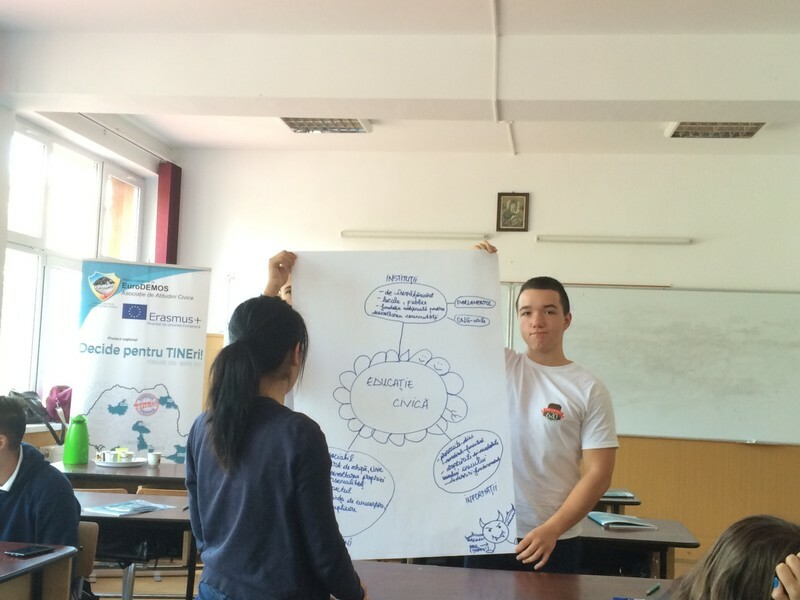 The project activities created a favourable framework for information, debate and participation of young people in dialogue with decision makers. 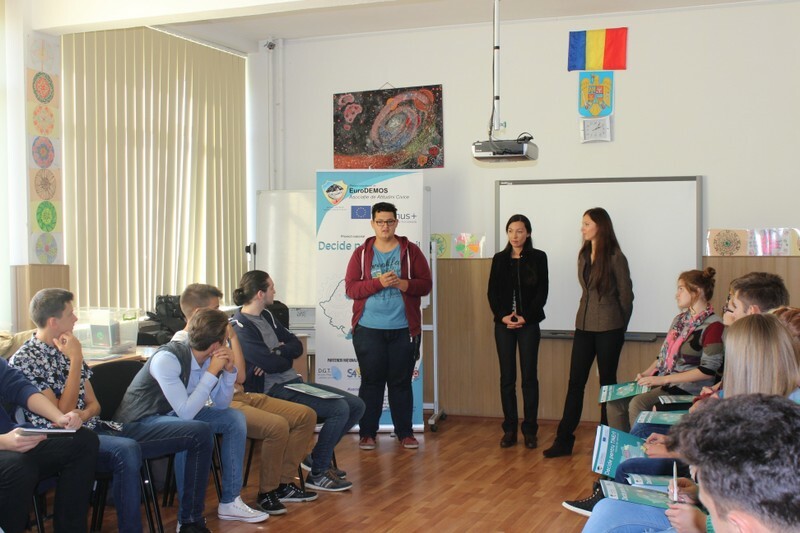 The direct beneficiaries of the project were 732 young people aged between 13 and 30 years, of which a proportion of 19% were young people with fewer opportunities (geographical, social and economic obstacles). 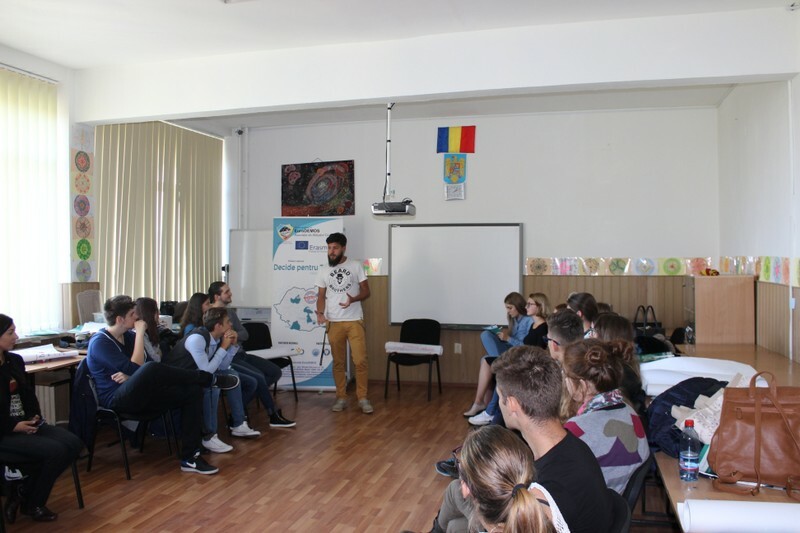 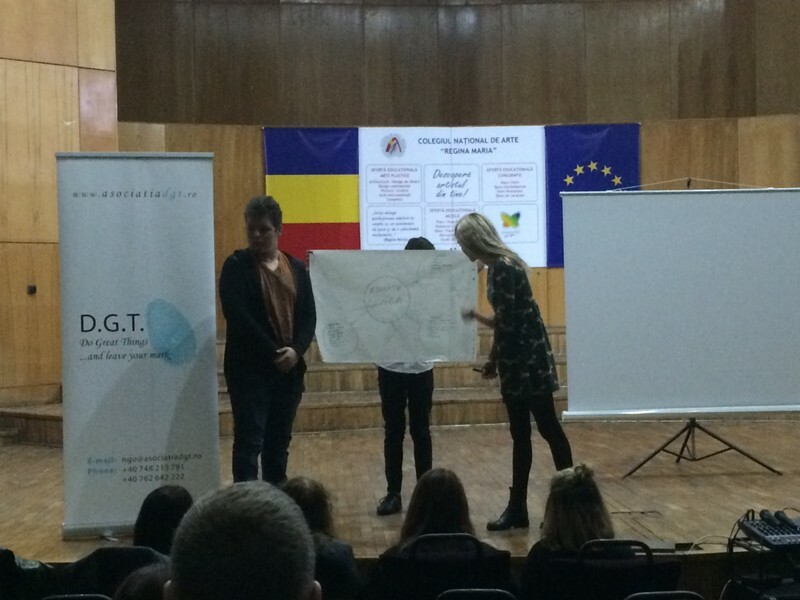 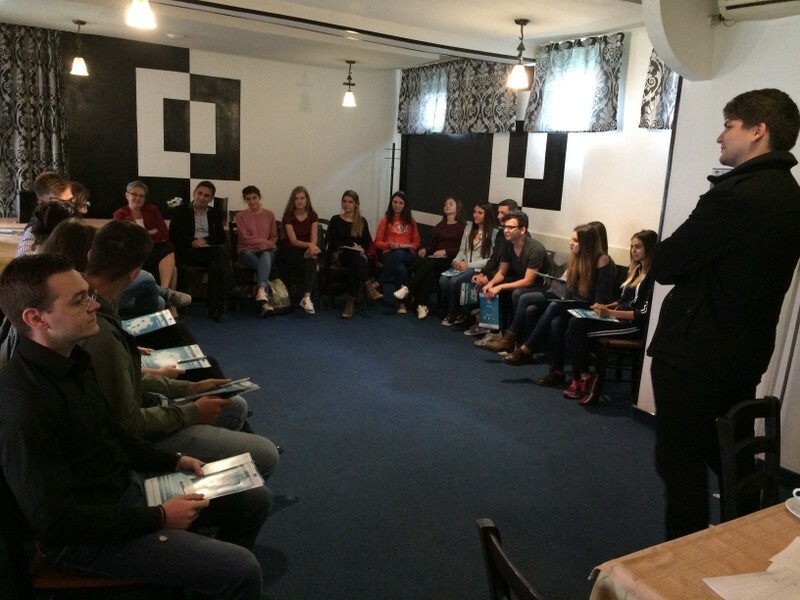 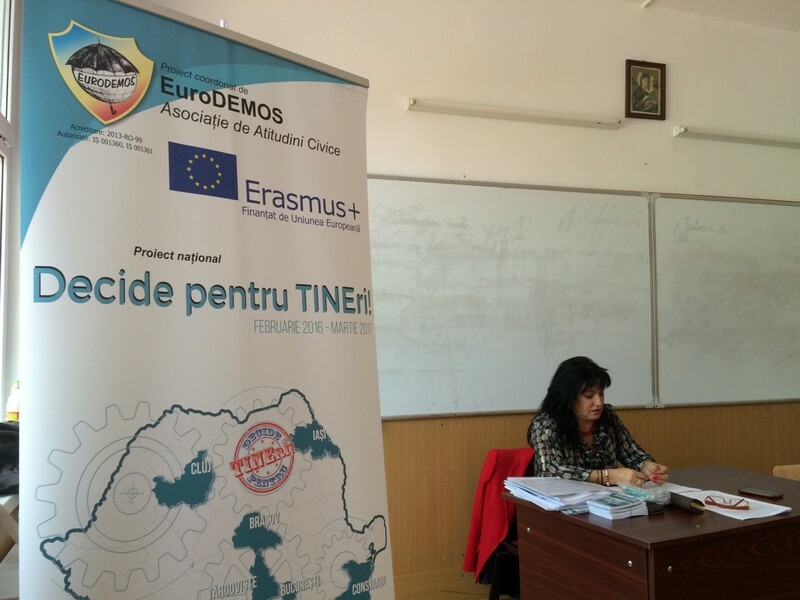 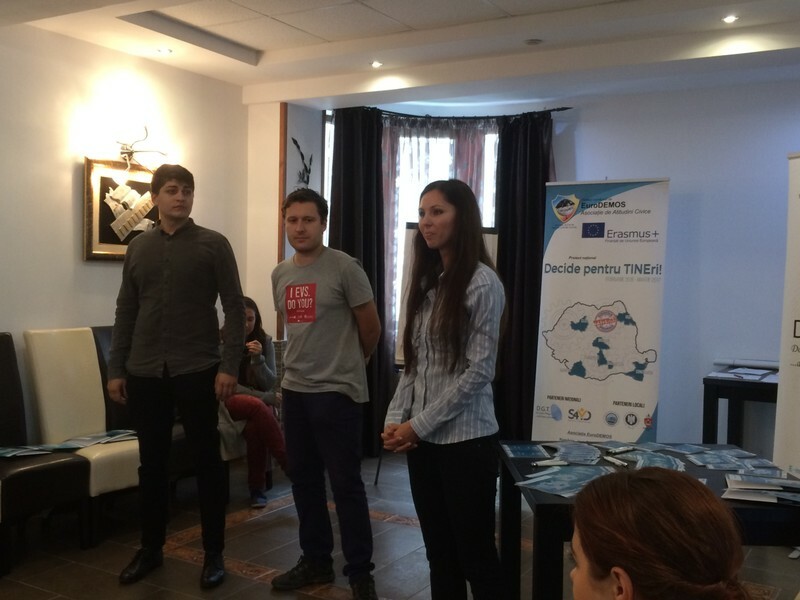 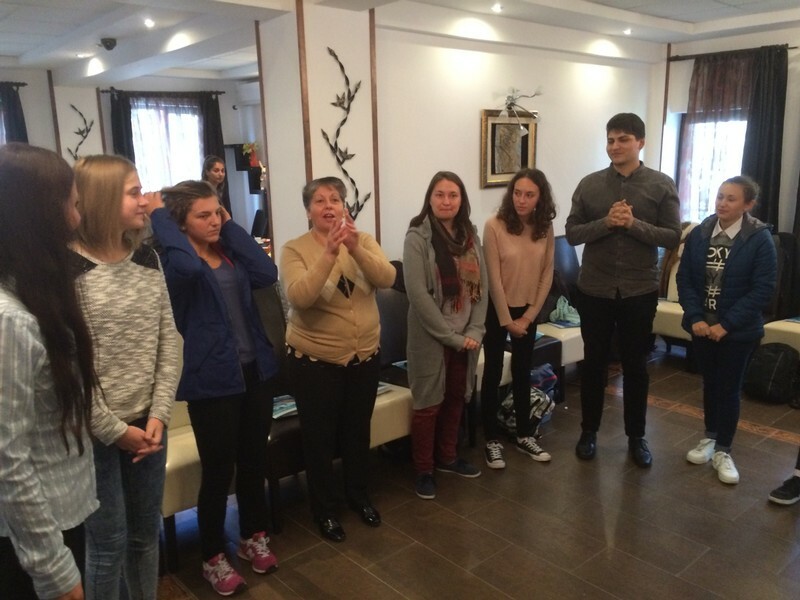 In the first stage the youth attended 13 meetings with decision makers in 7 regions from Romania centre, south-east, south-west, south, Bucharest-Ilfov, north-west and north-east. 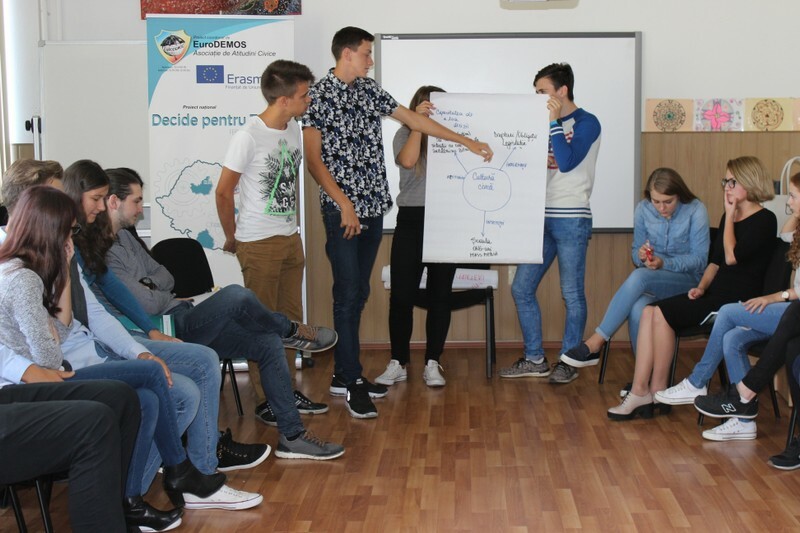 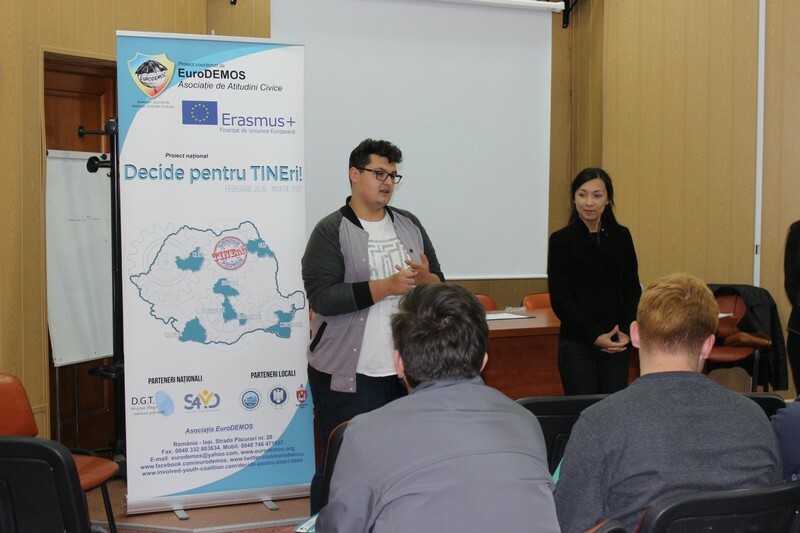 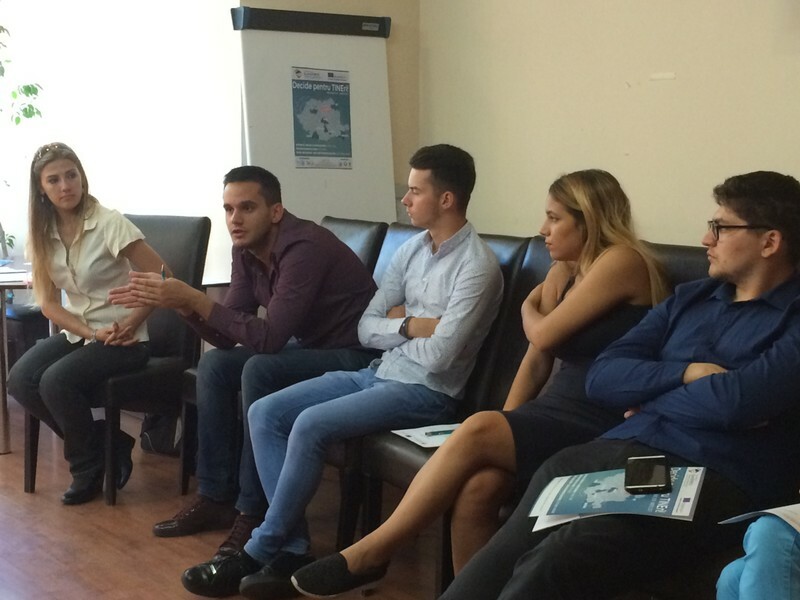 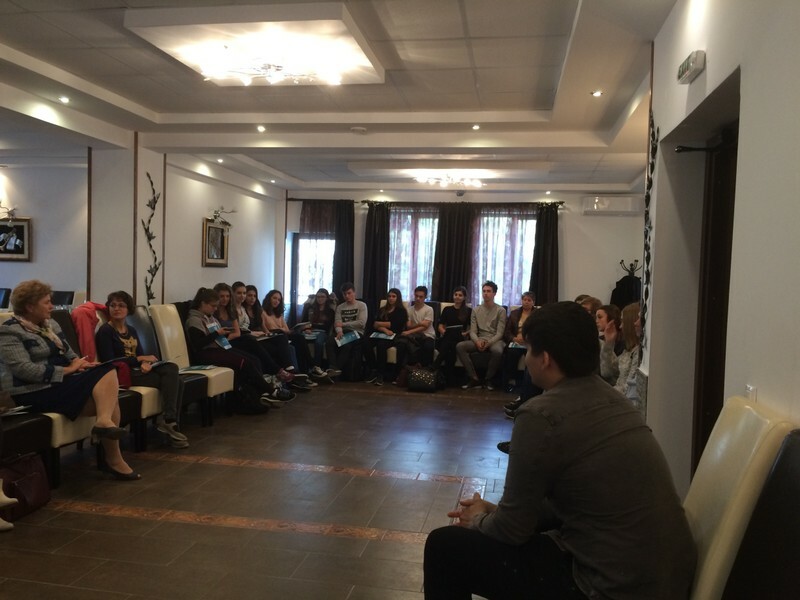 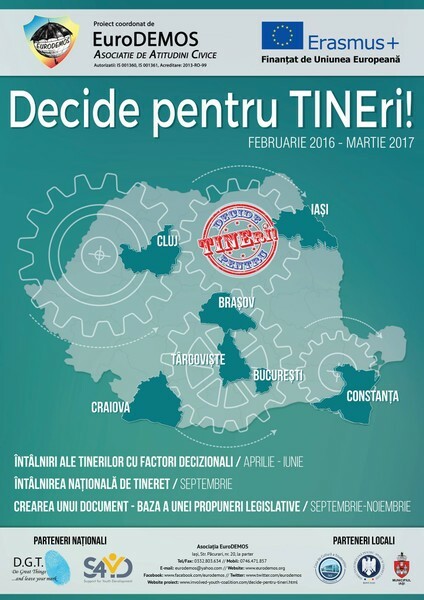 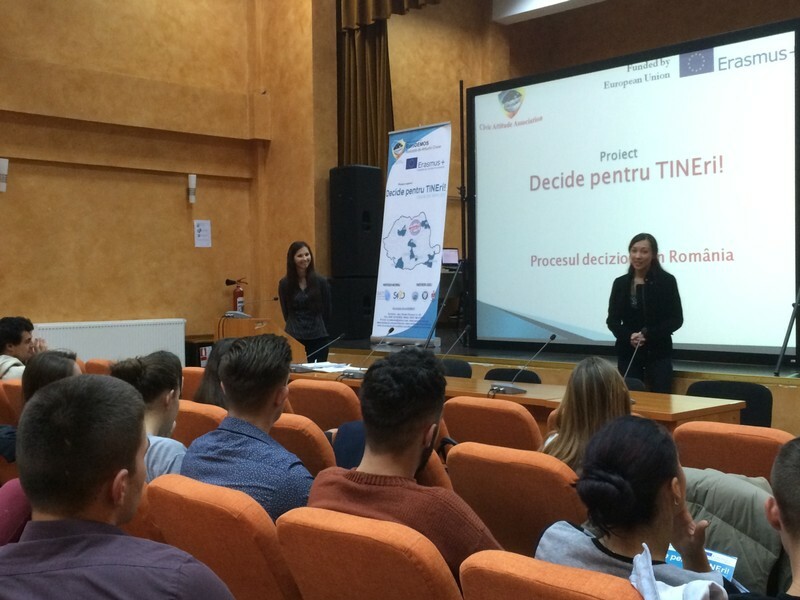 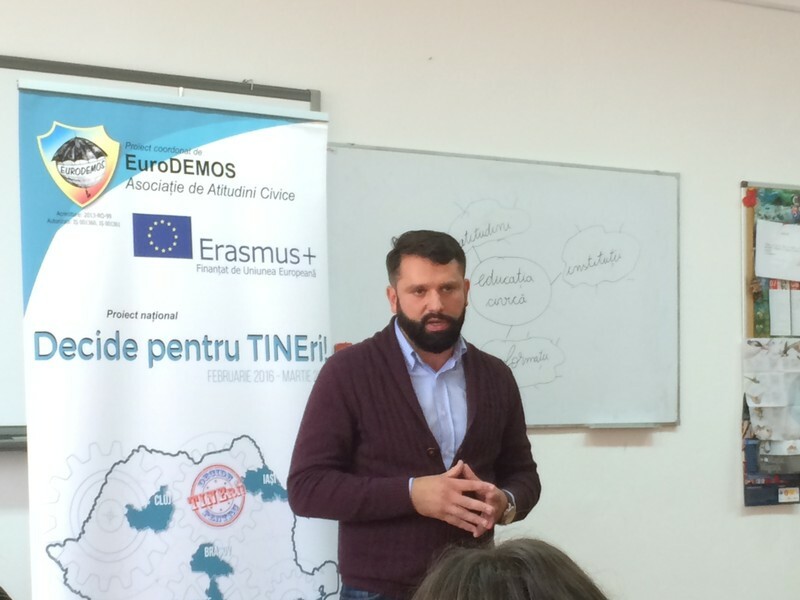 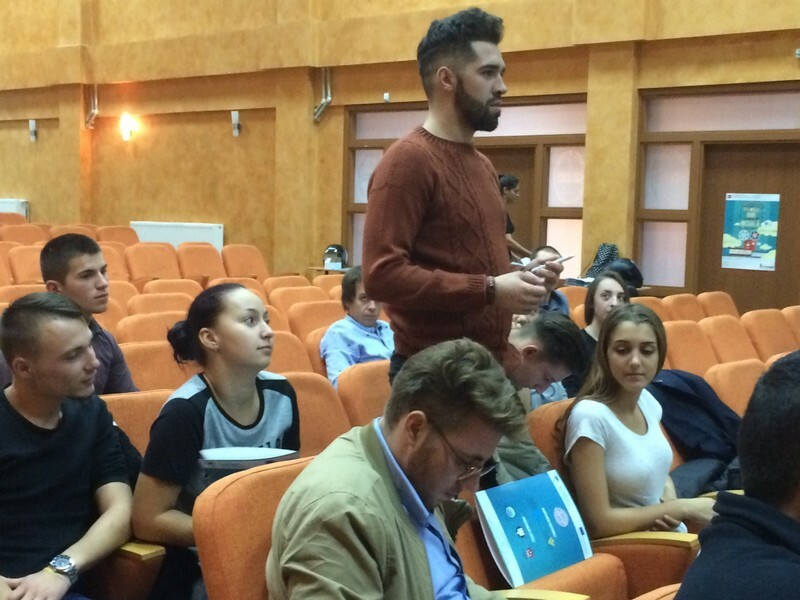 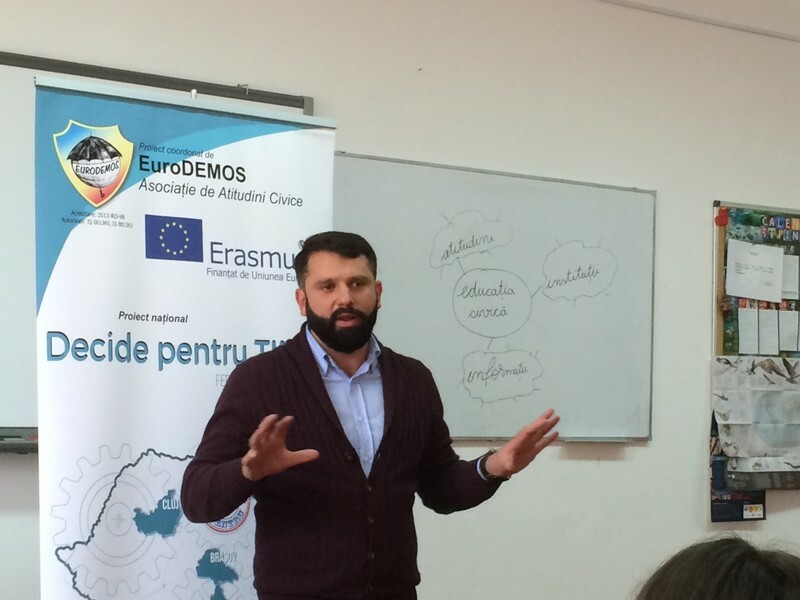 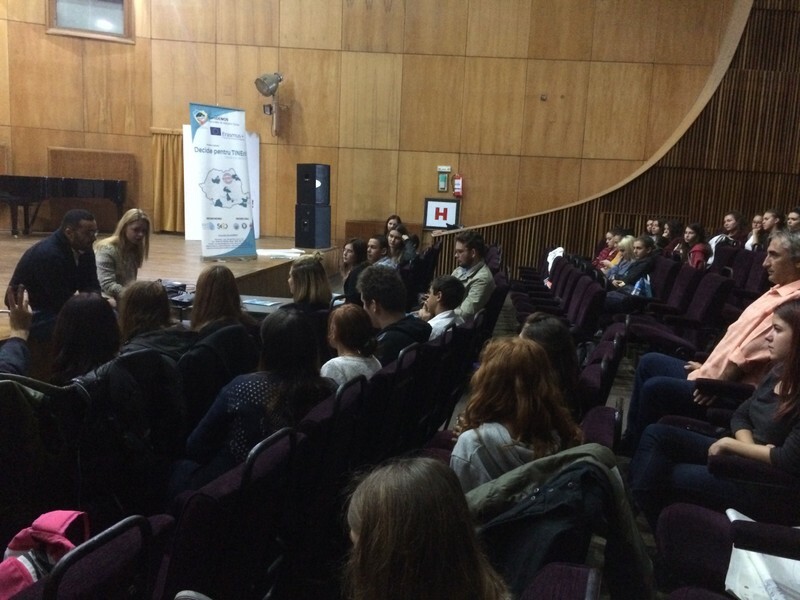 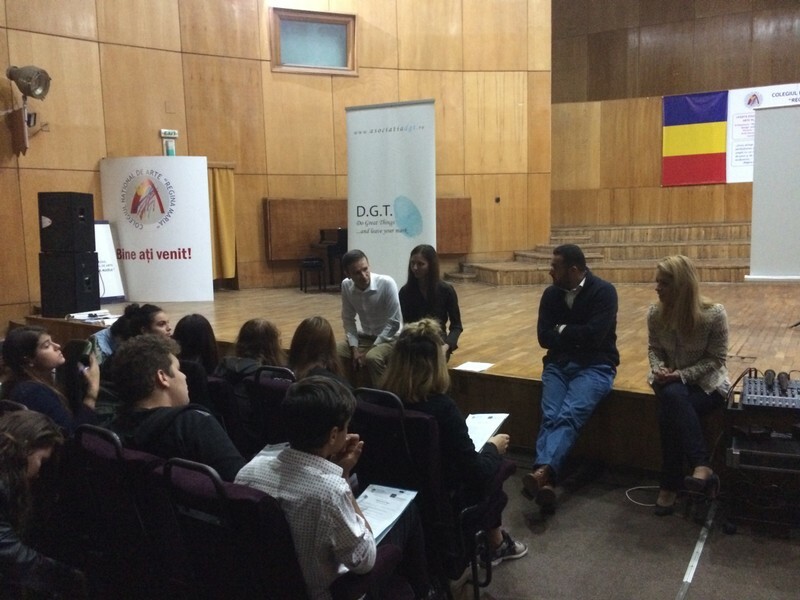 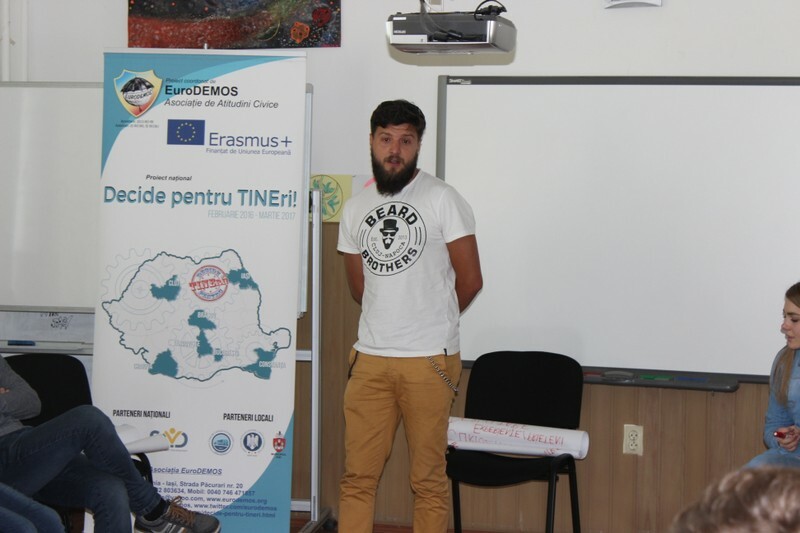 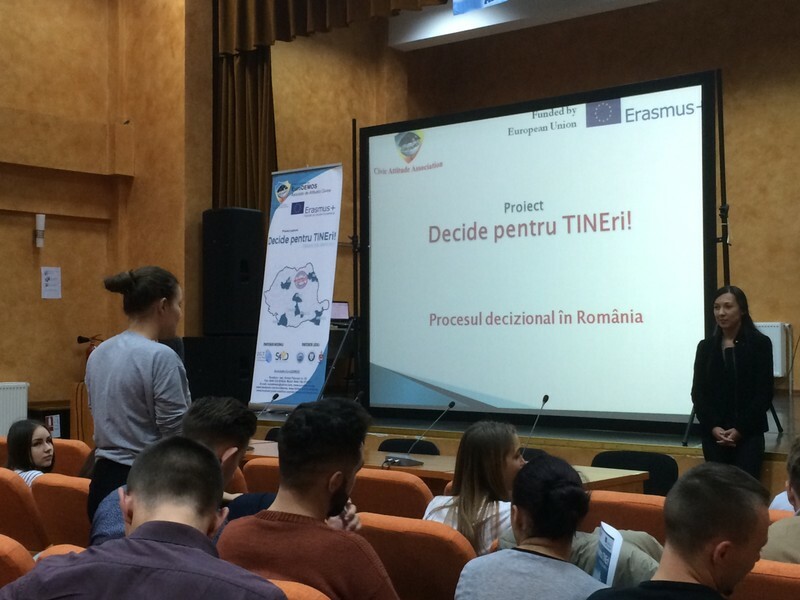 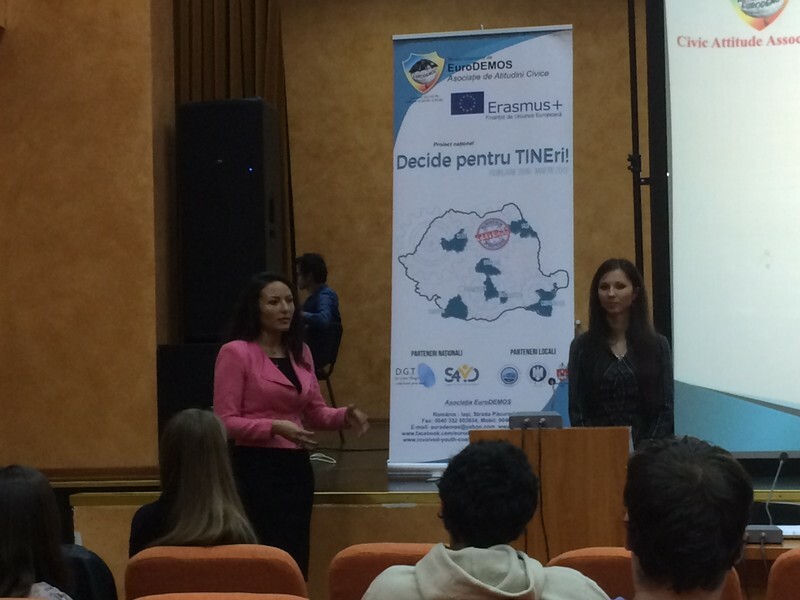 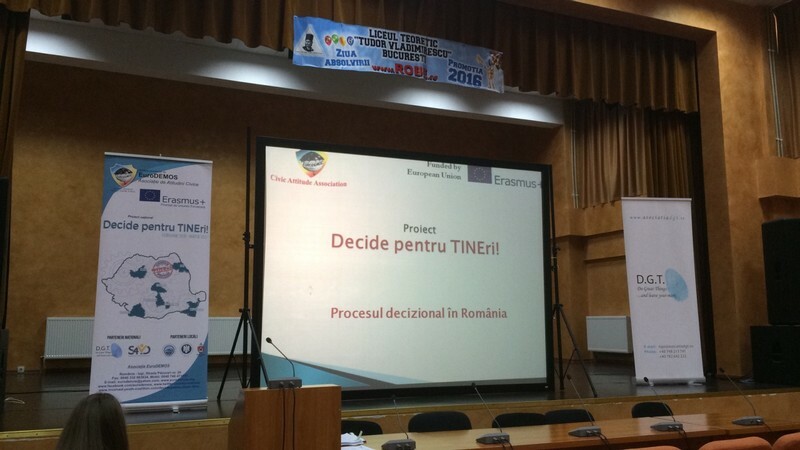 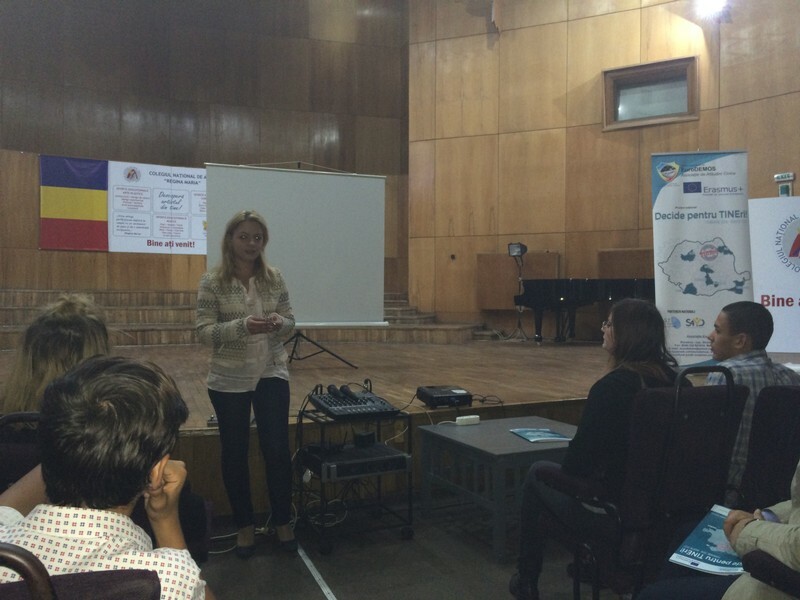 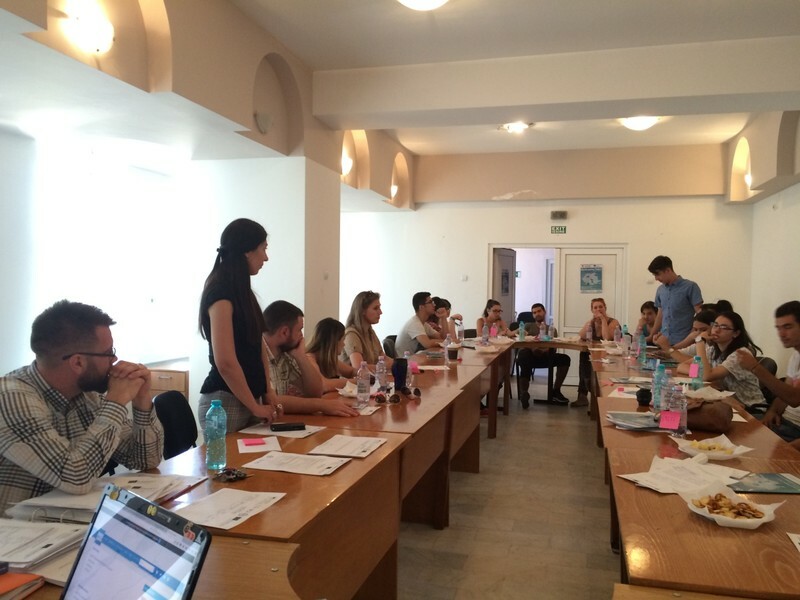 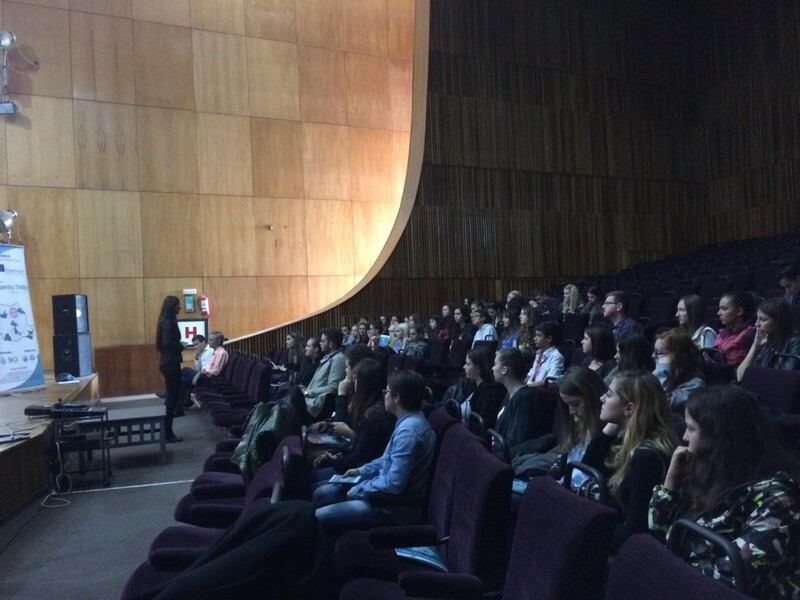 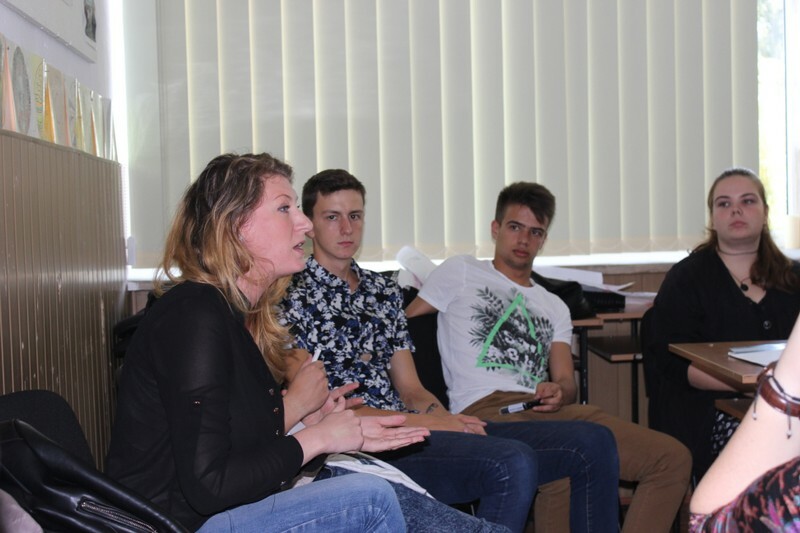 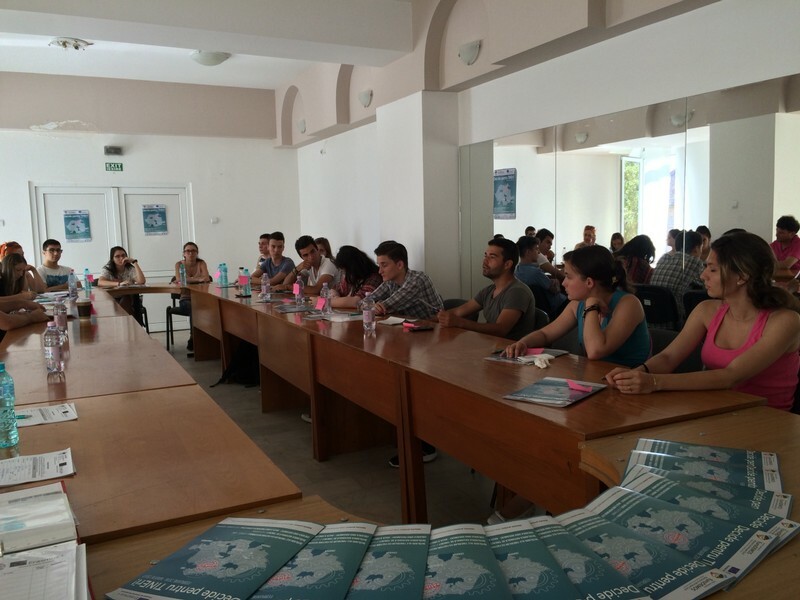 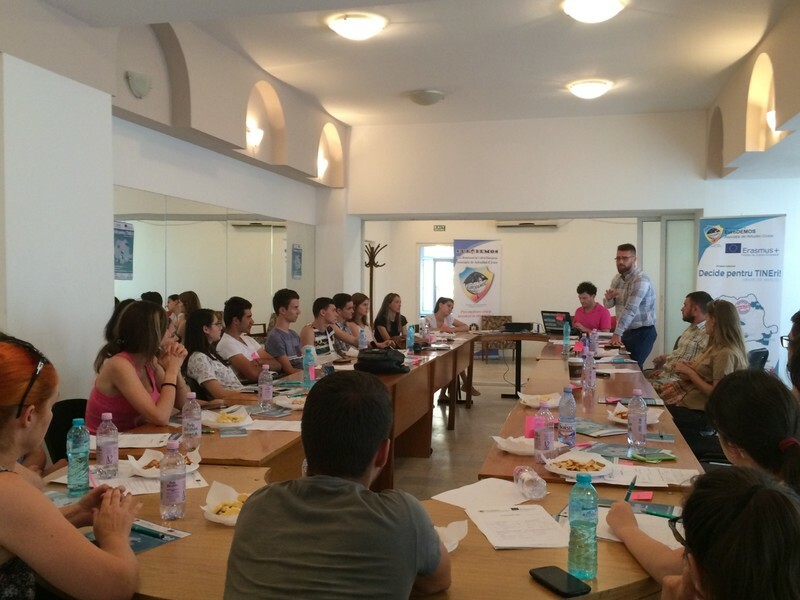 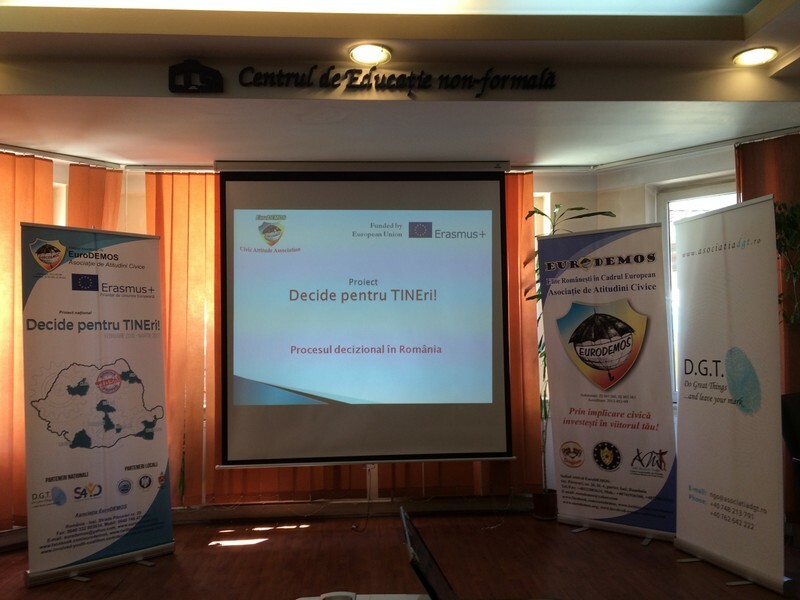 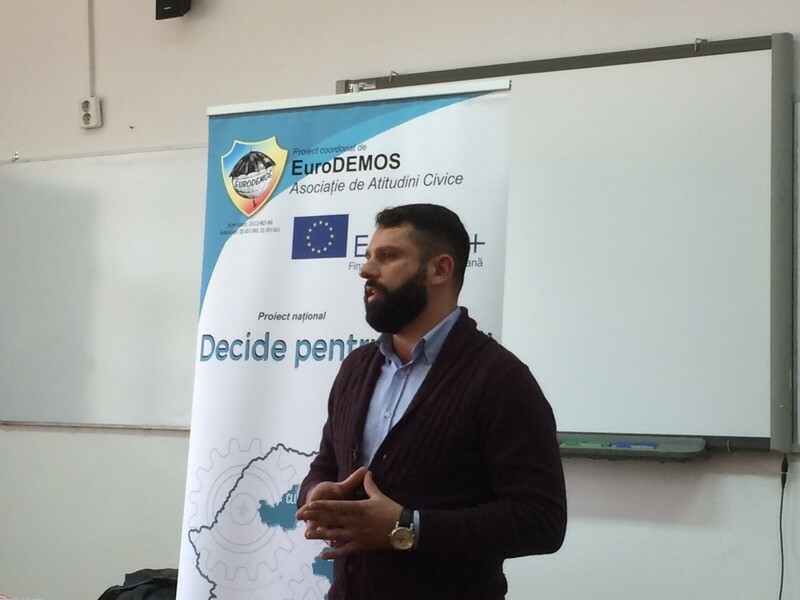 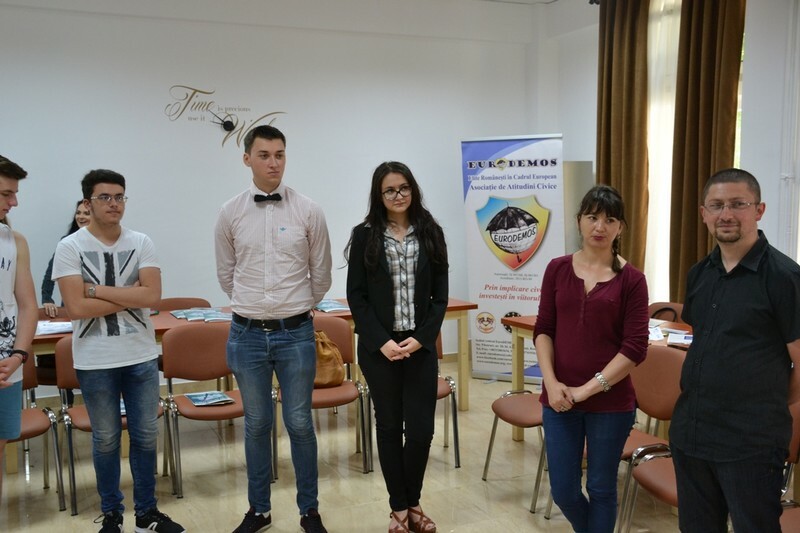 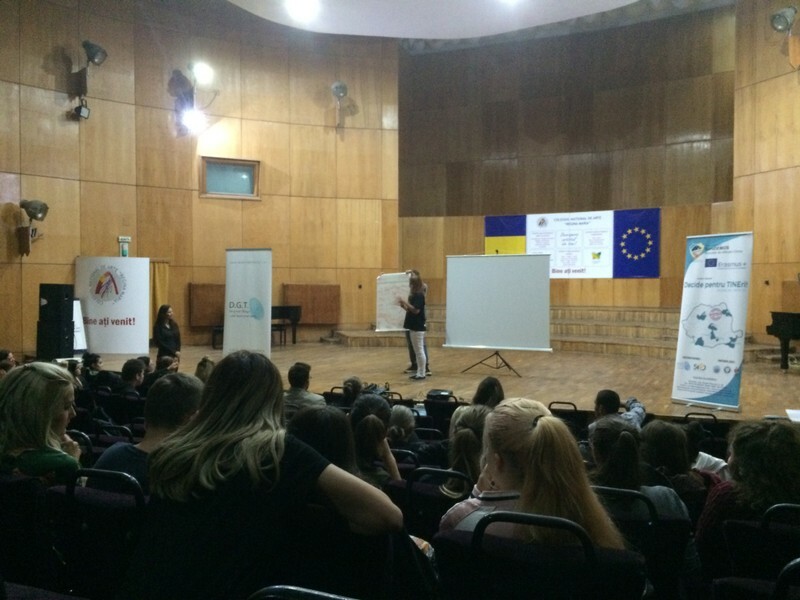 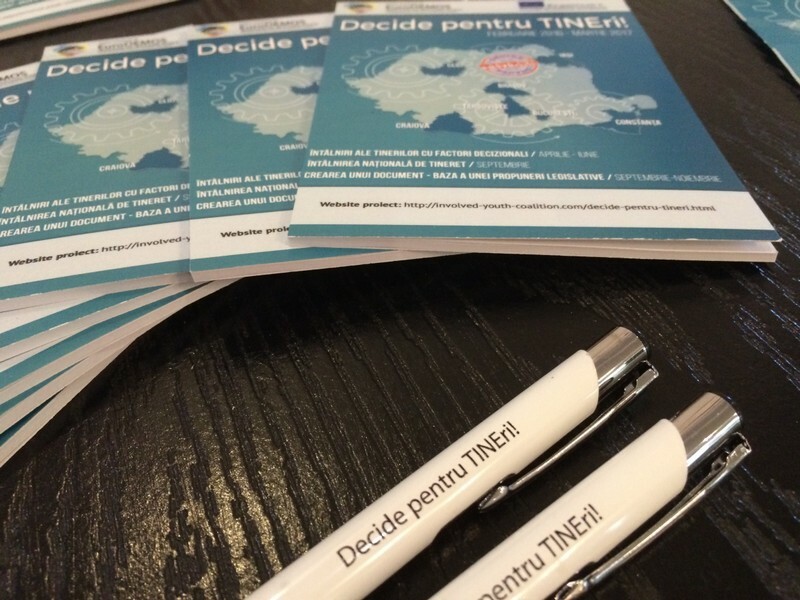 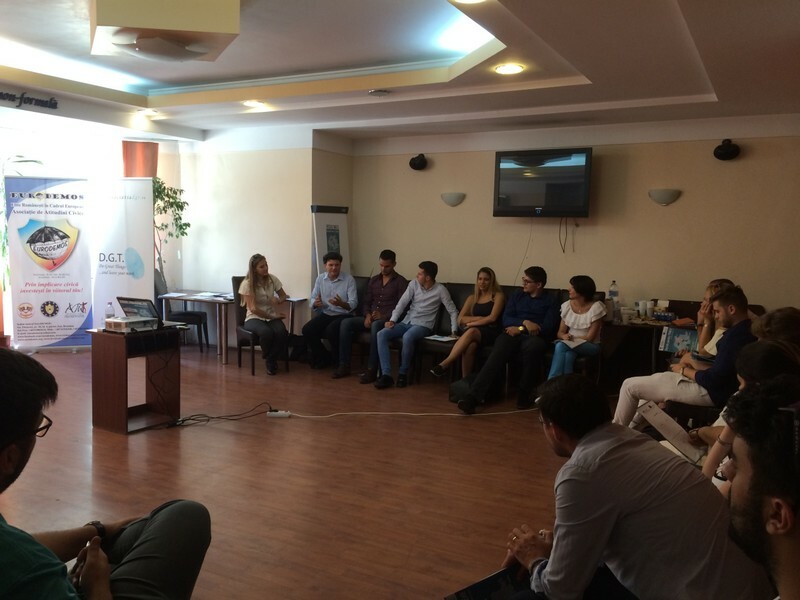 The meetings between youth and decision makers took place in: Brasov, Bucharest, Cluj Napoca, Constanta, Craiova, Targoviste, Bacau, Motru, Raducaneni and Iasi. 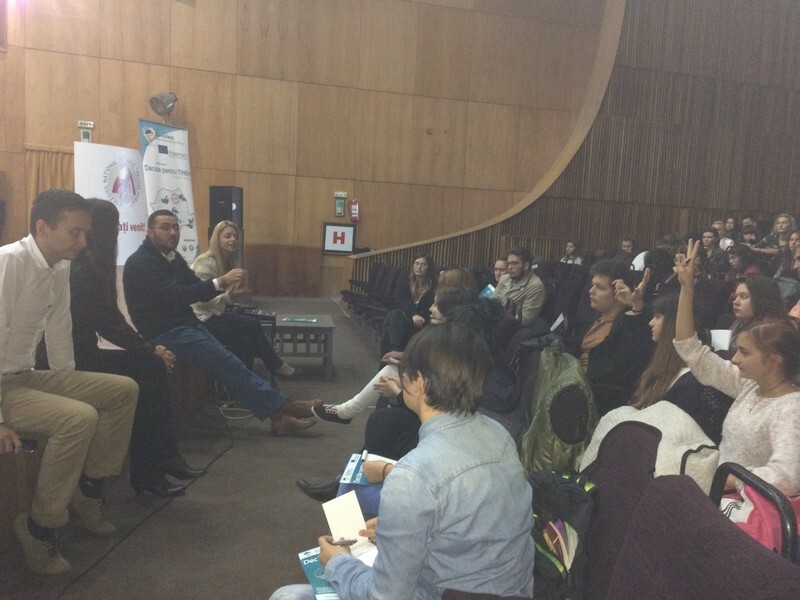 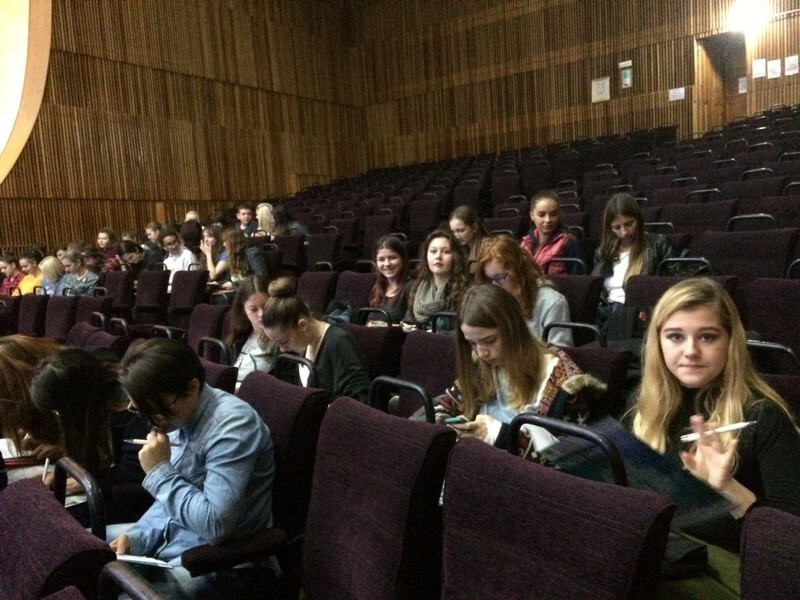 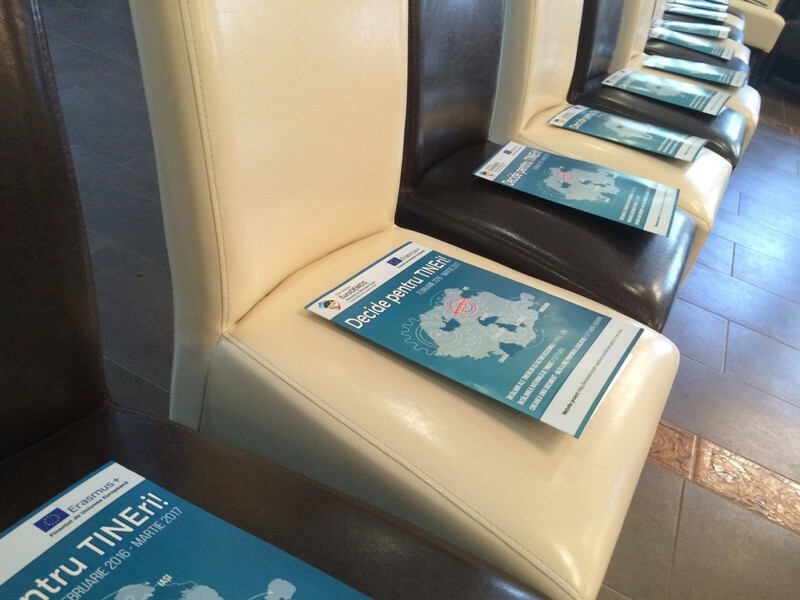 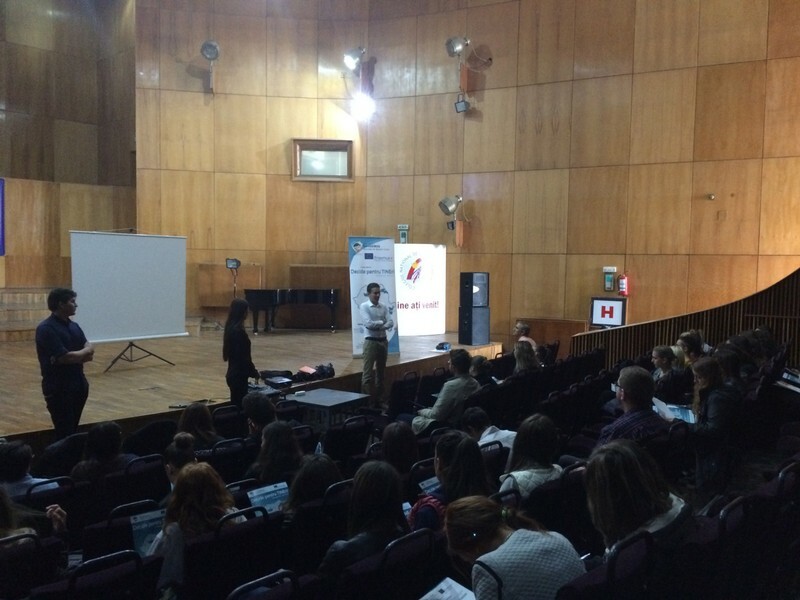 The meetings took place in partnership with educational institutions, involving 377 participants in all. 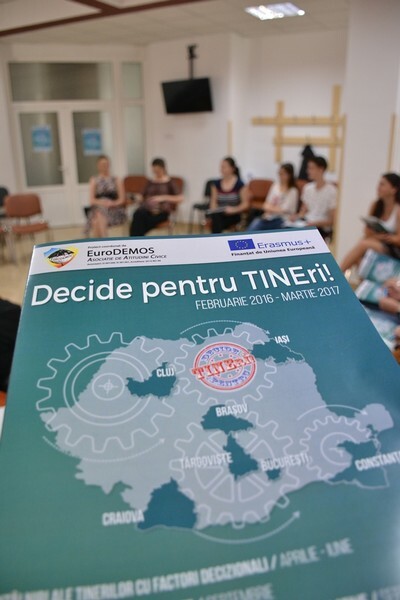 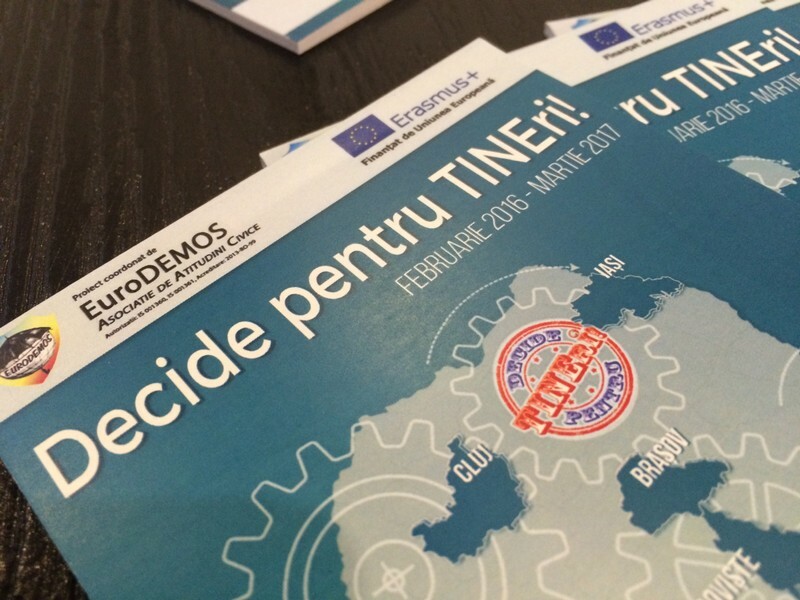 The meetings agenda included practical activities of understanding the decisional processes in the democratic society such as discussion of the opportunity to include the civic education in the school curricula in the pre-university education, non formal methods approaching the topic of civic education and direct dialogues between youth and decision makers from their cities. 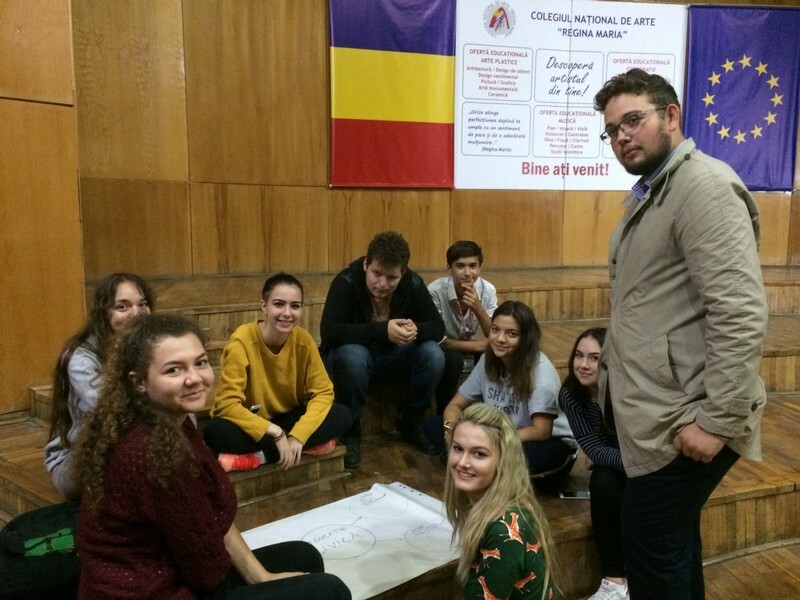 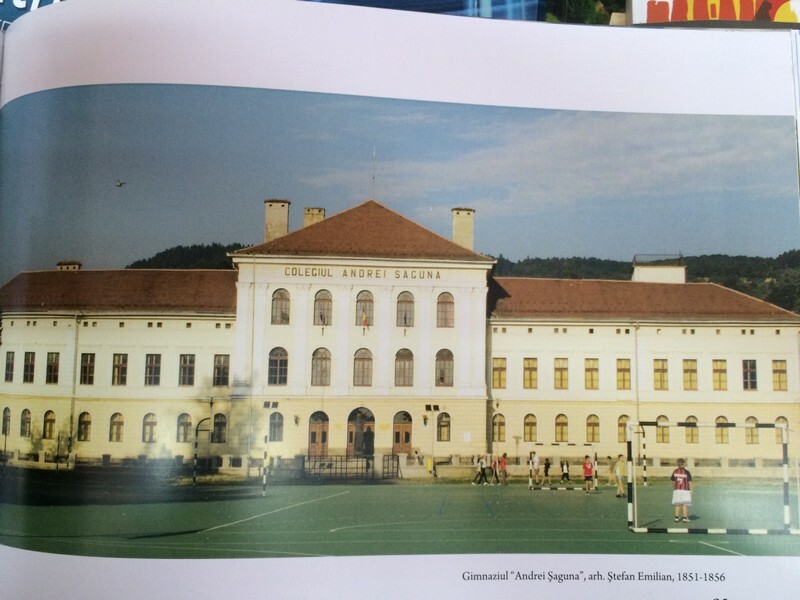 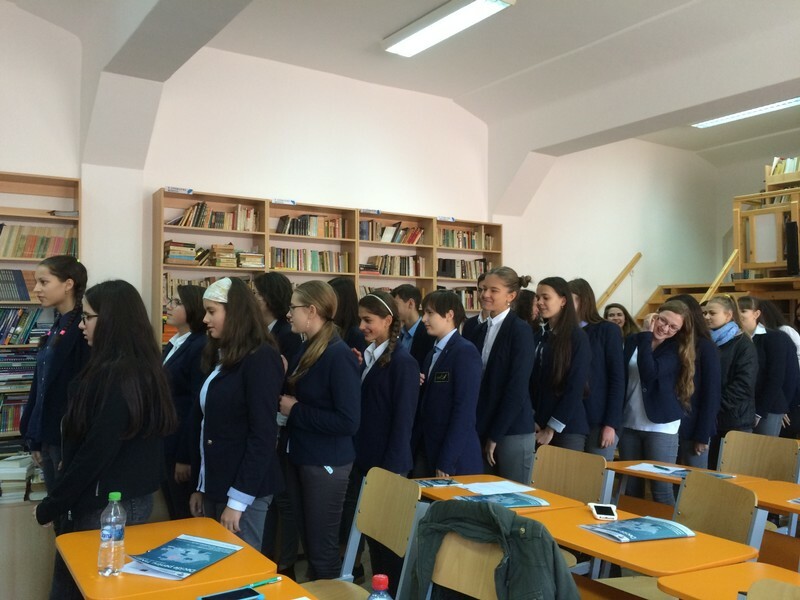 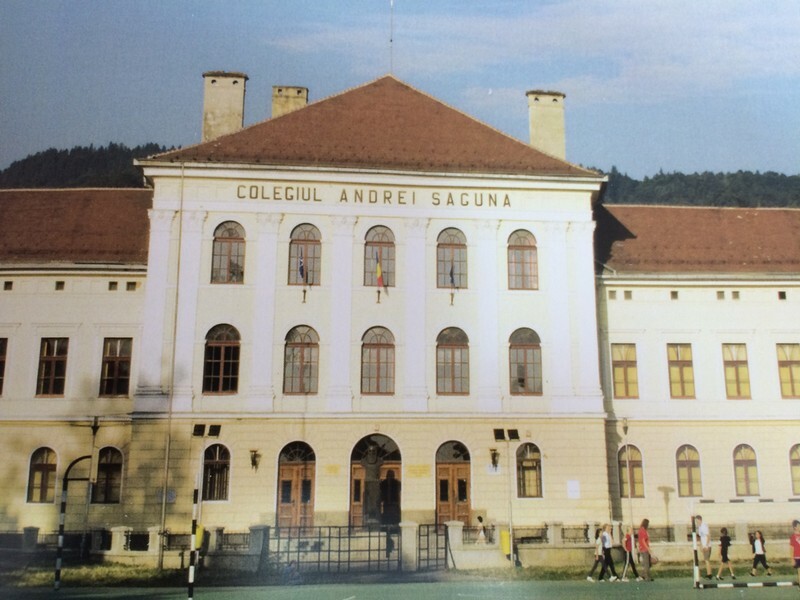 Constanta - National College of Arts "Regina Maria"
Cluj - Informatics High School "Tiberiu Popoviciu"